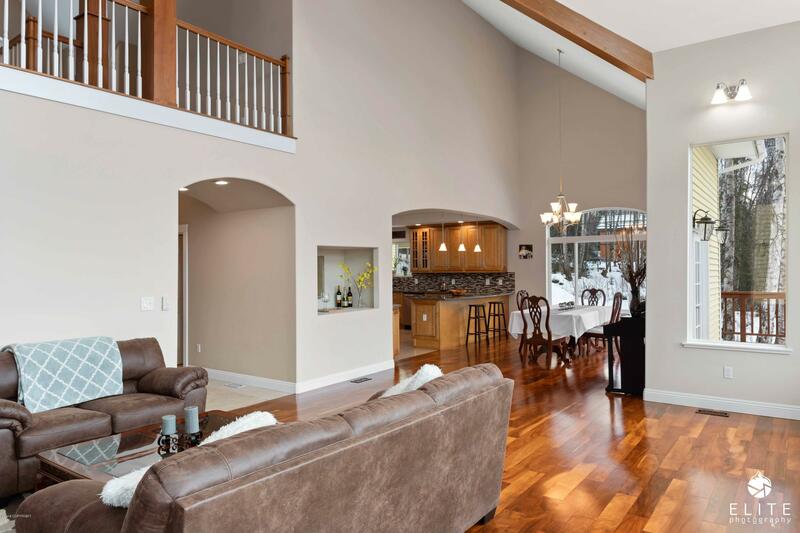 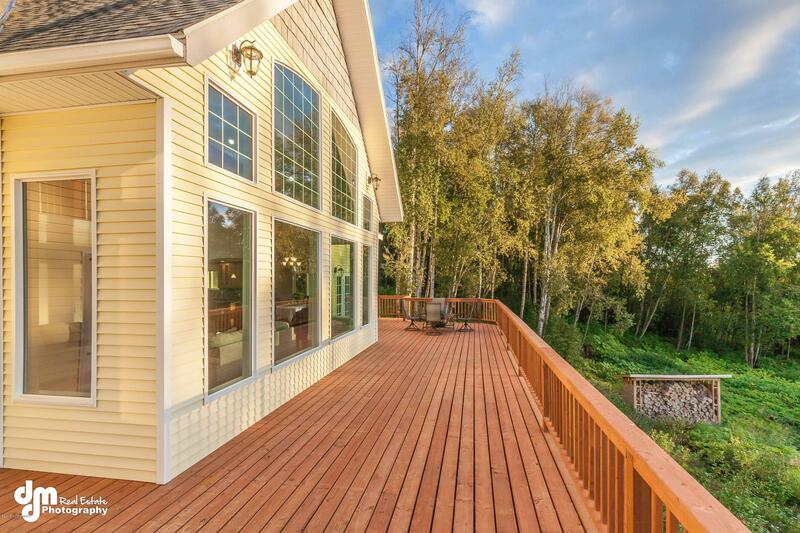 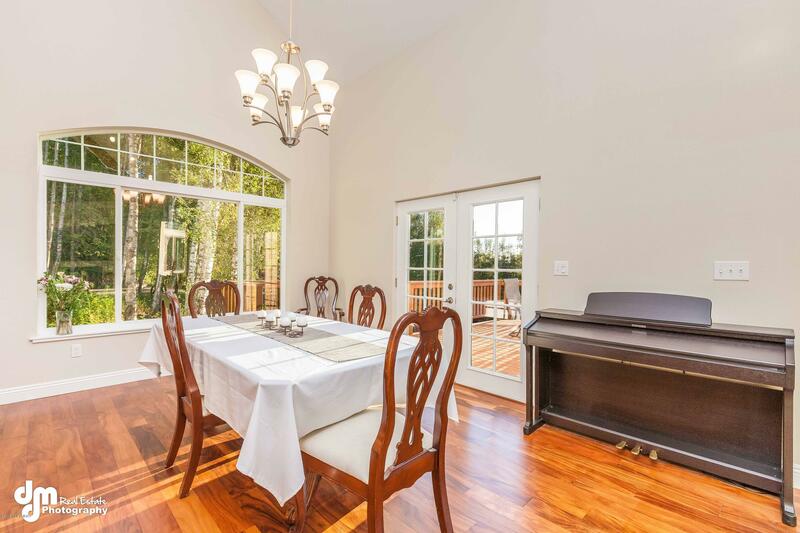 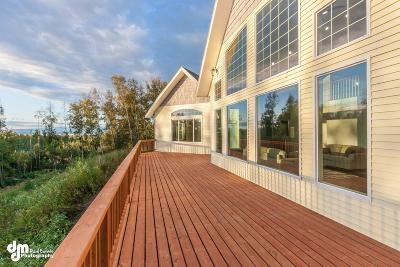 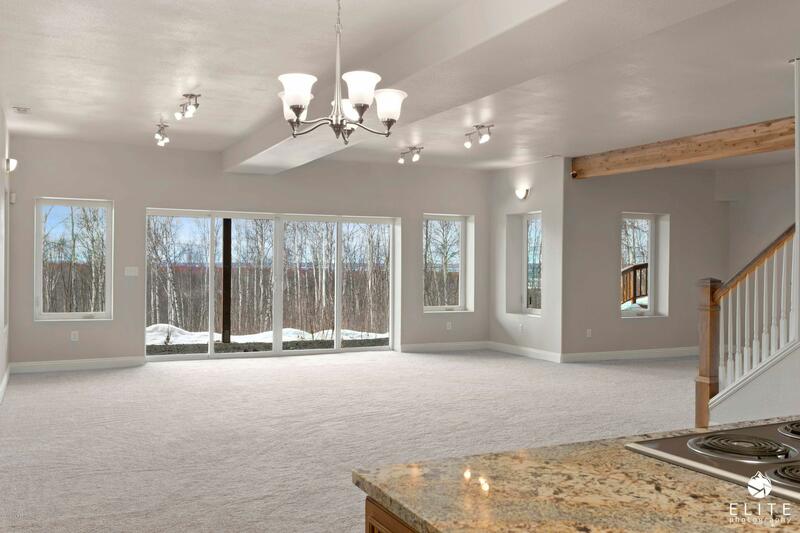 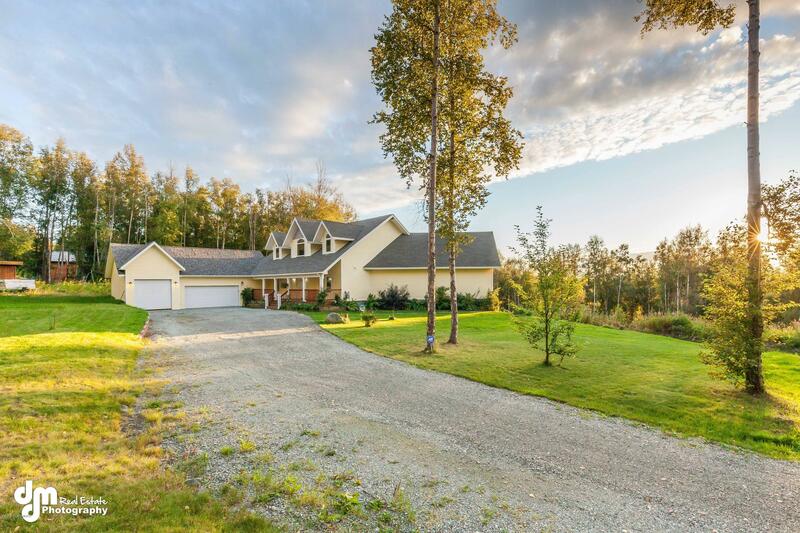 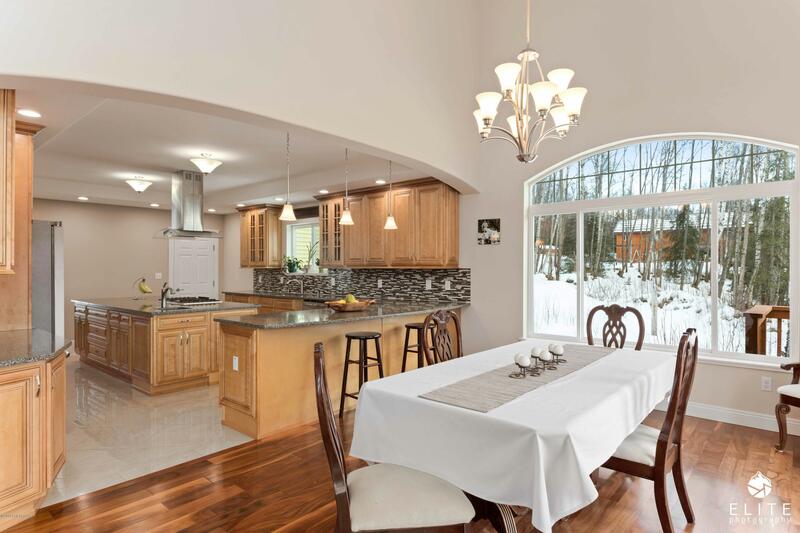 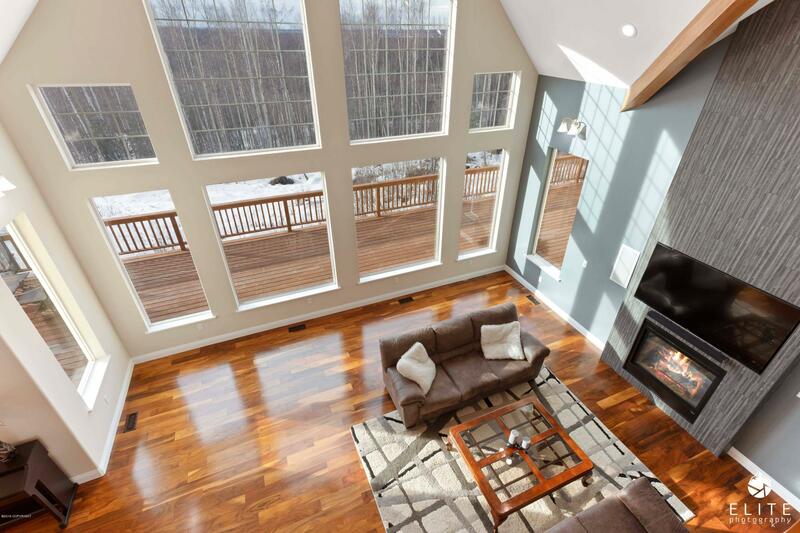 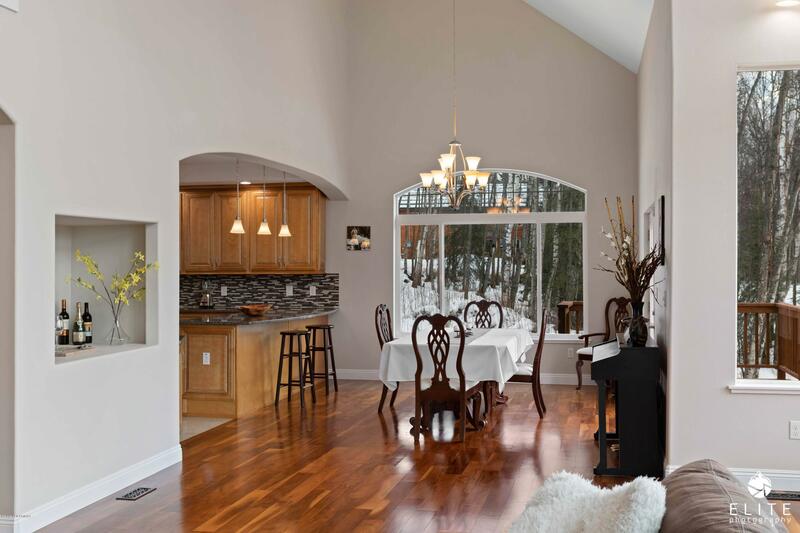 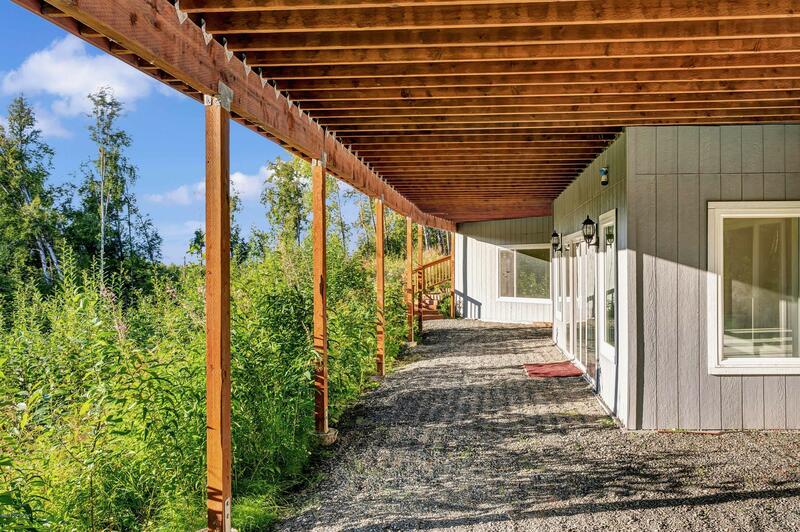 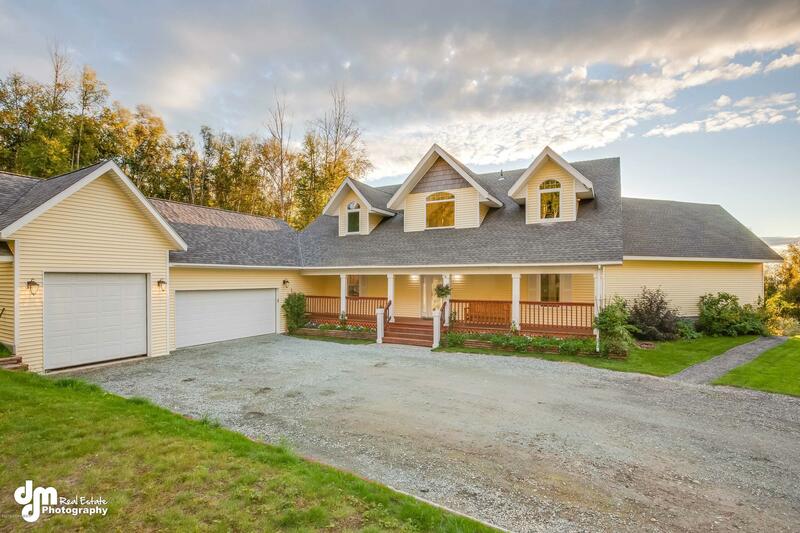 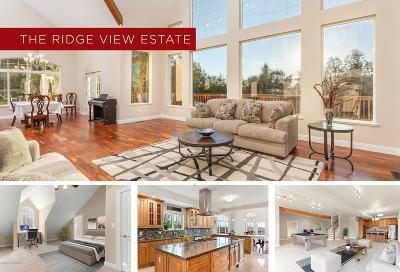 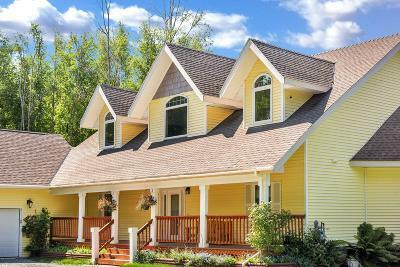 Beautiful custom-built home on 2.5 acres, featuring views of Denali, the Cook Inlet and Mount Susitna. 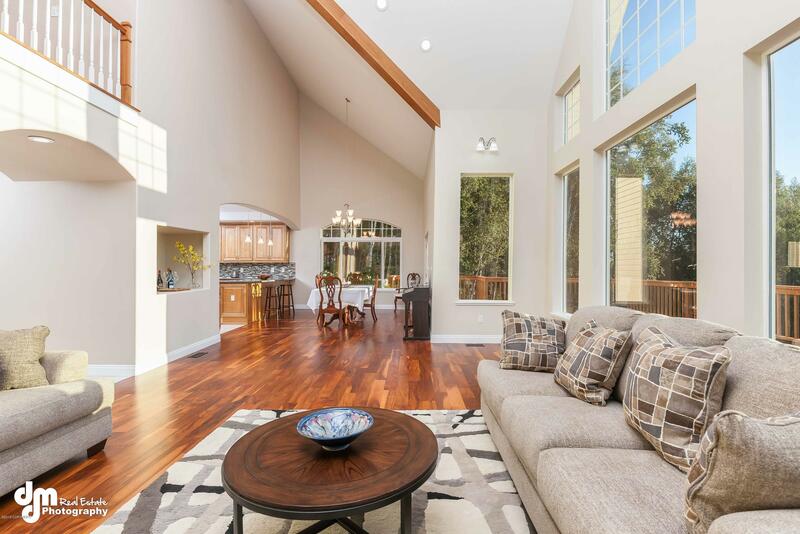 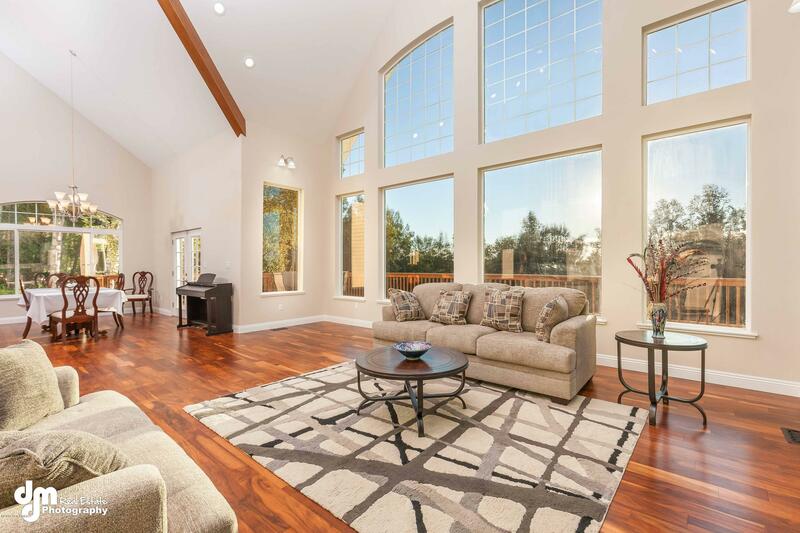 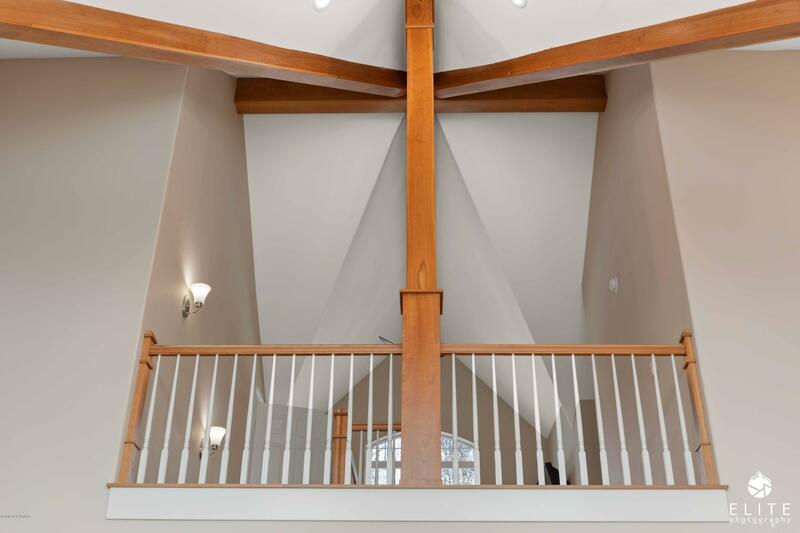 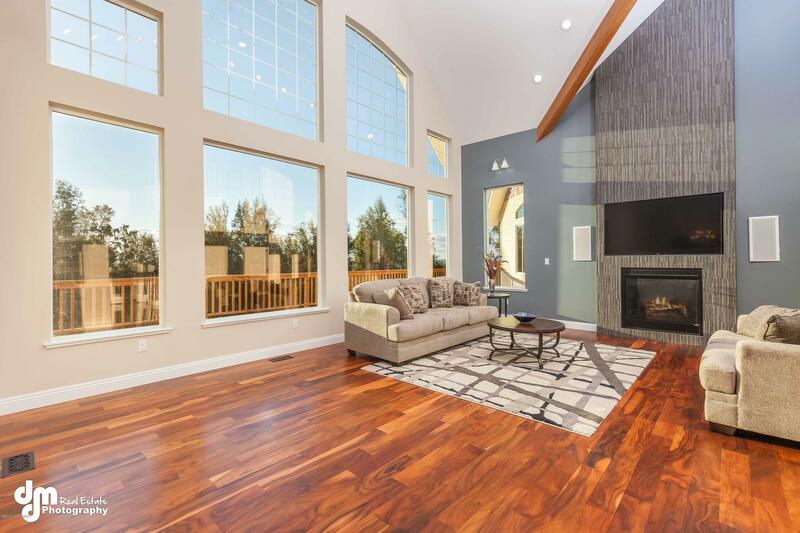 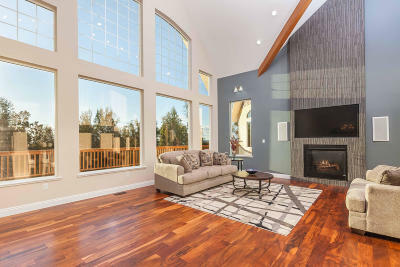 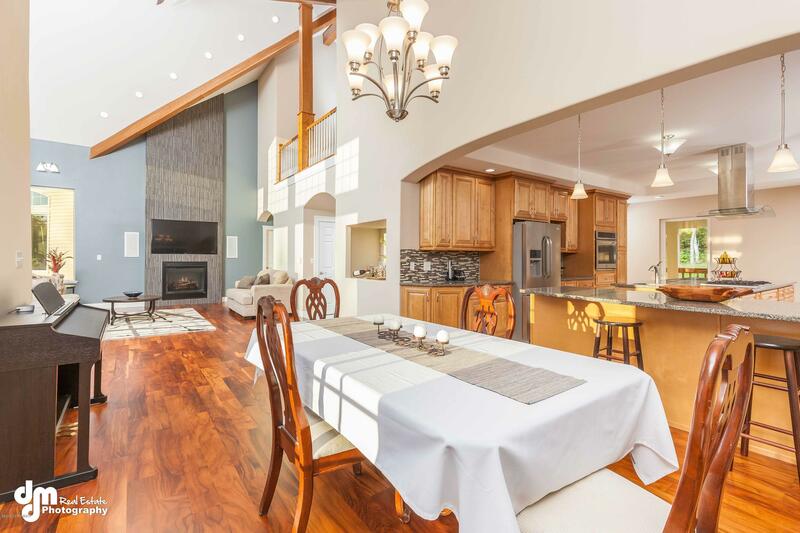 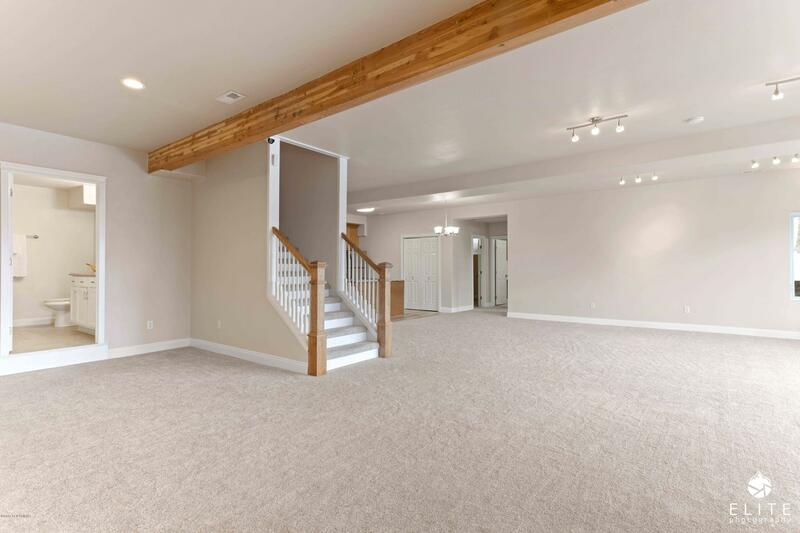 Grand design throughout its 4 bedrooms and 4.5 baths including cathedral ceilings, exposed beams and a cascading staircase. 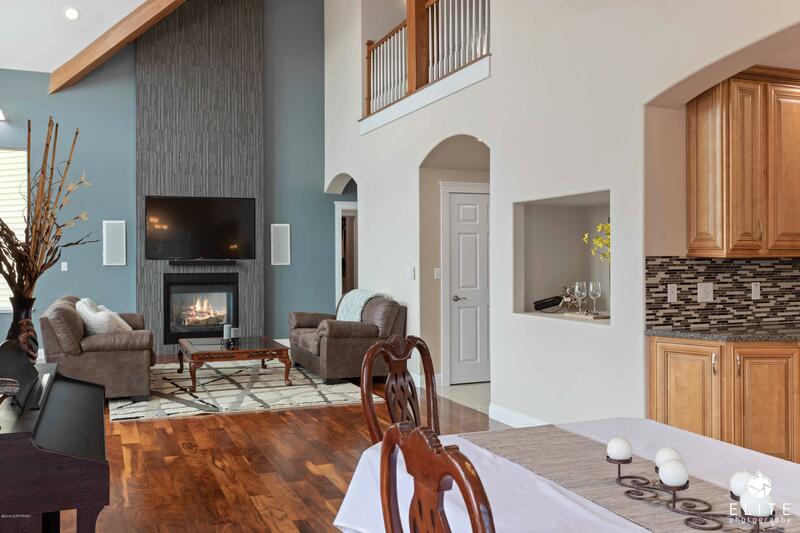 Upon entering the main floor, porcelain brings you to the great room with arched windows, open dining and living area and floor-to-ceiling fireplace. 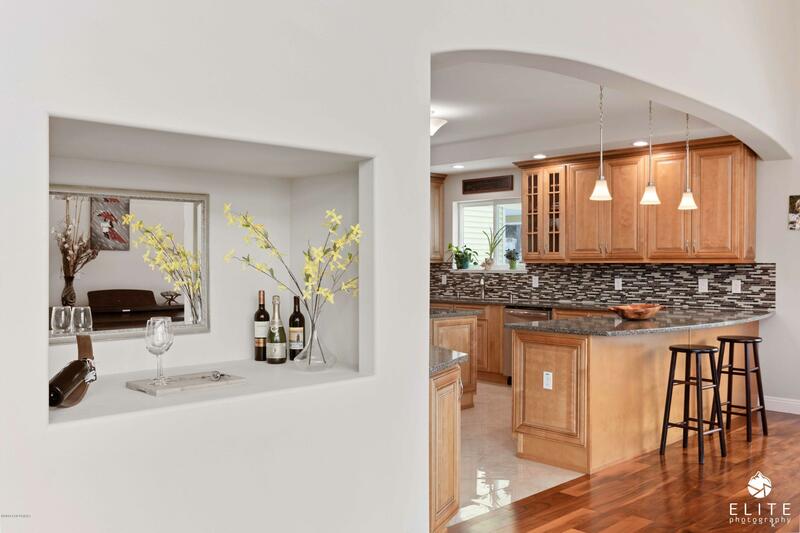 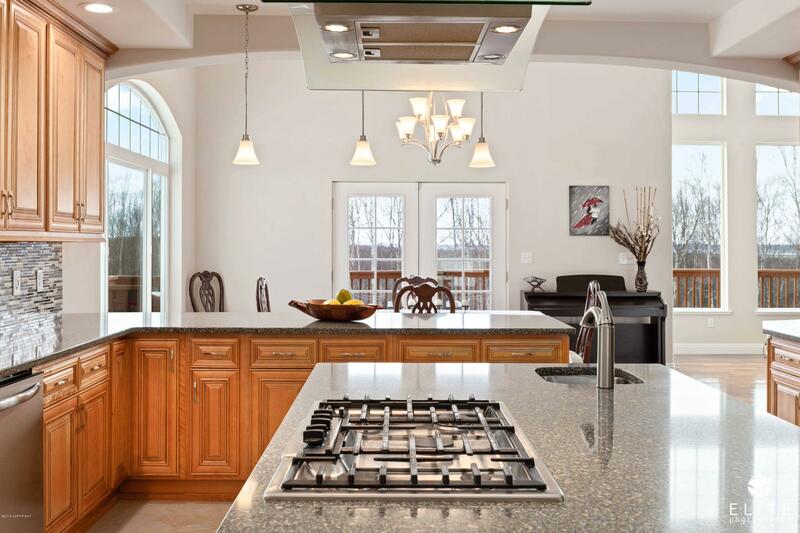 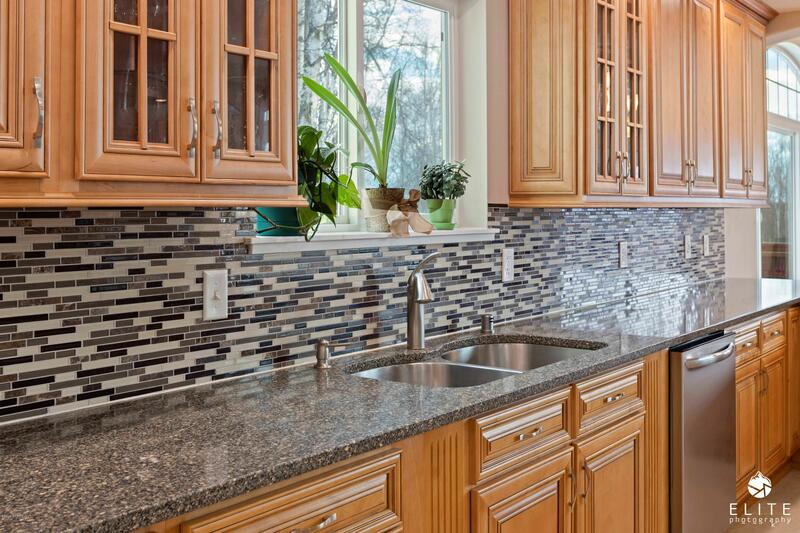 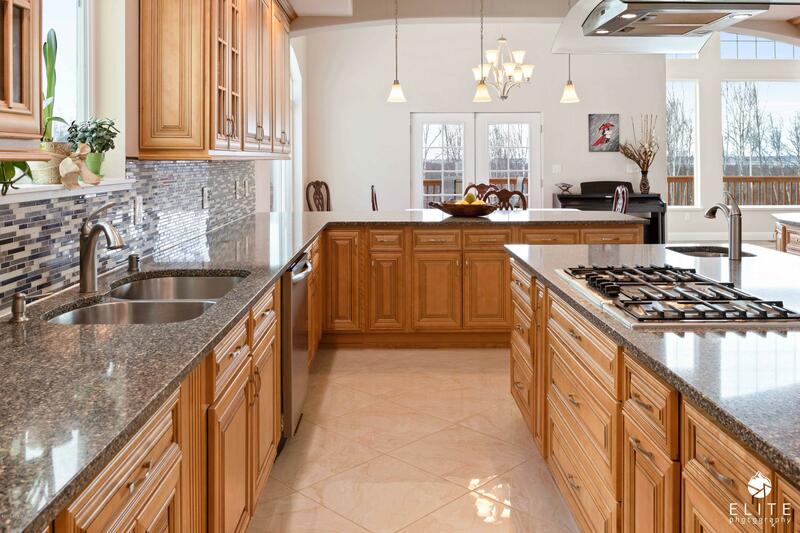 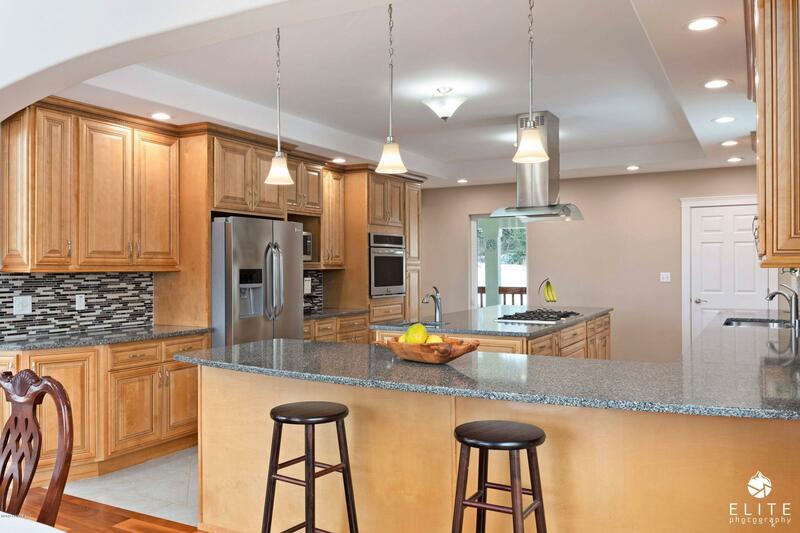 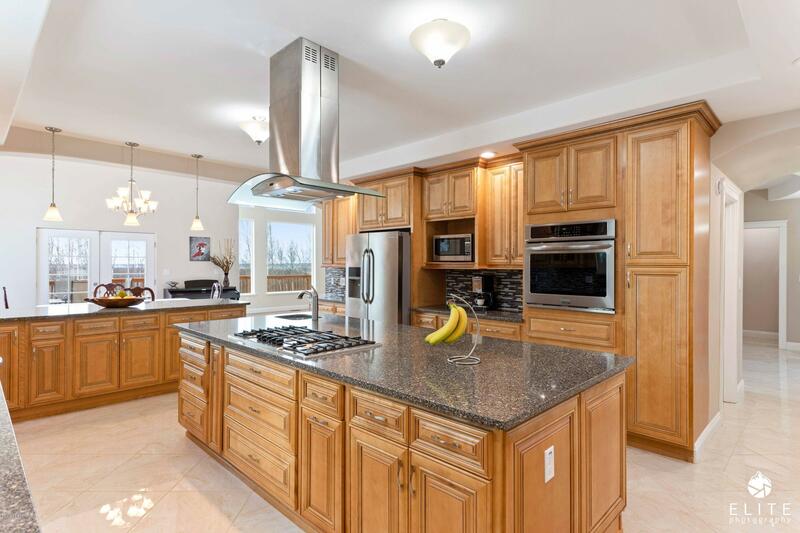 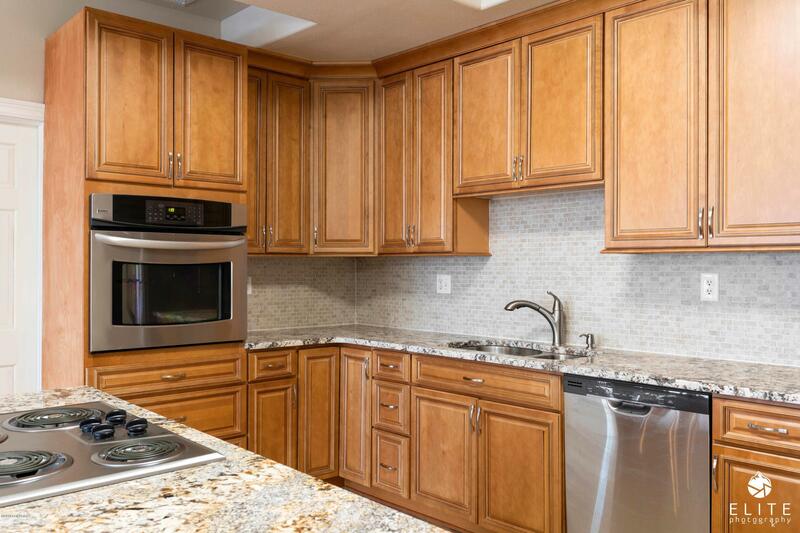 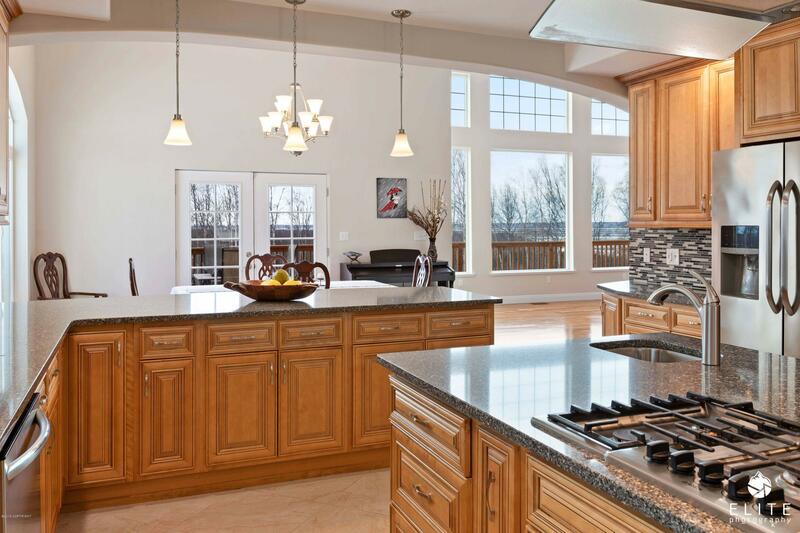 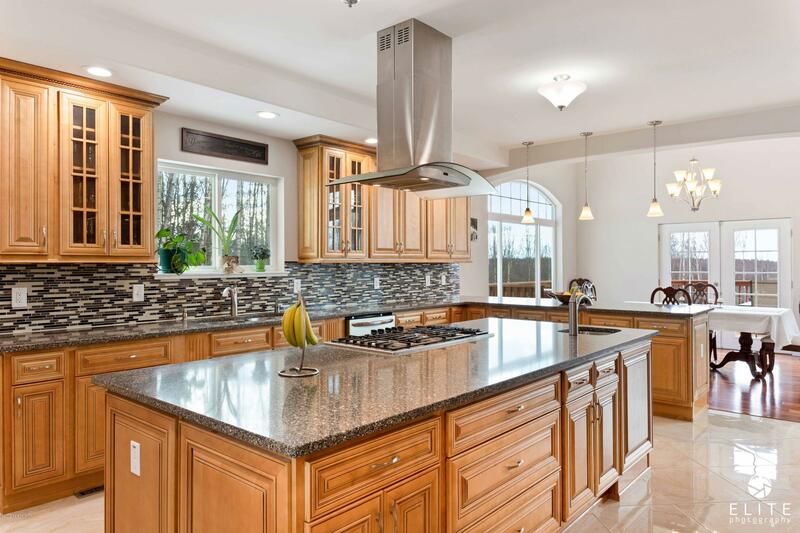 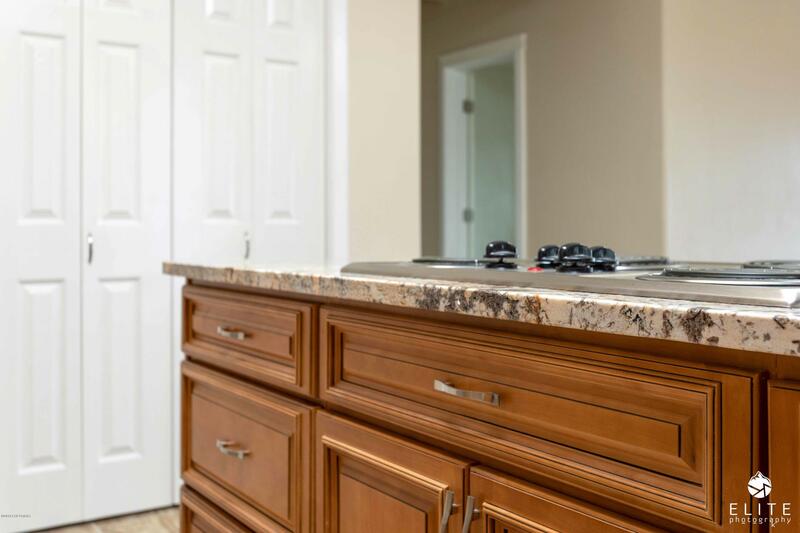 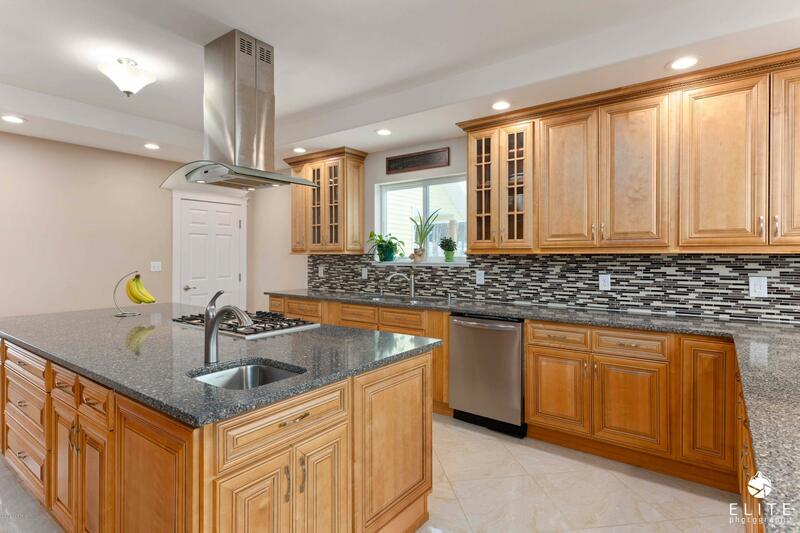 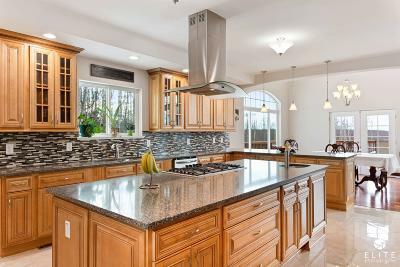 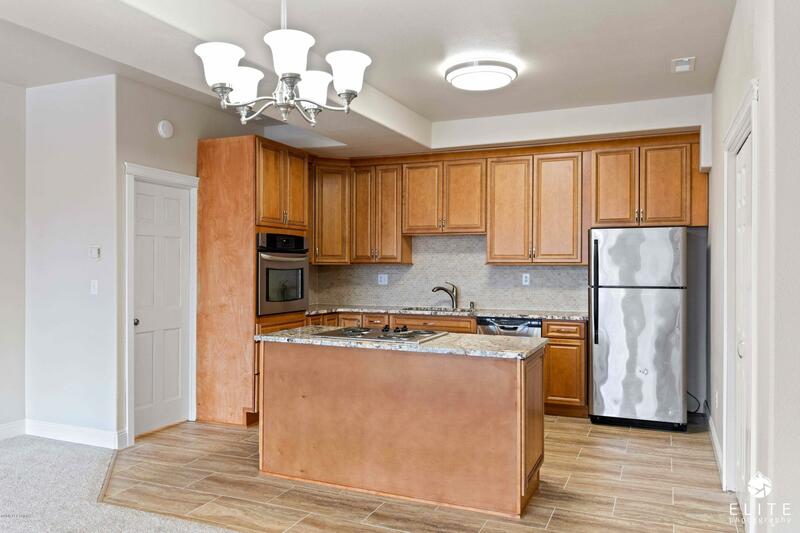 The kitchen is complete with stainless appliances, Bosch gas stove-top in the large island with a separate prep sink, quartz counters, breakfast bar and maple cabinetry. 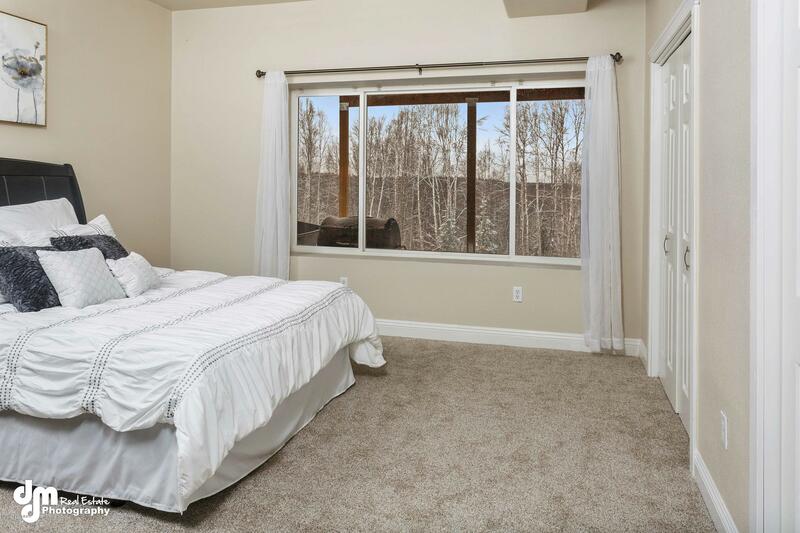 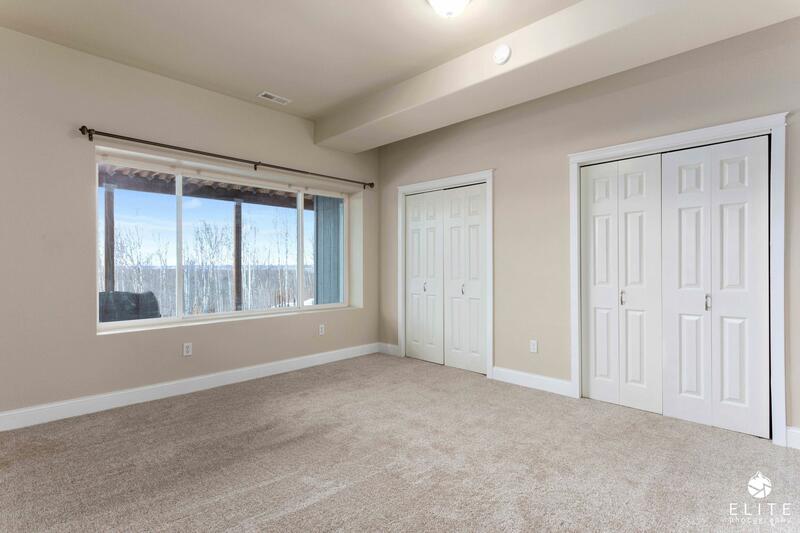 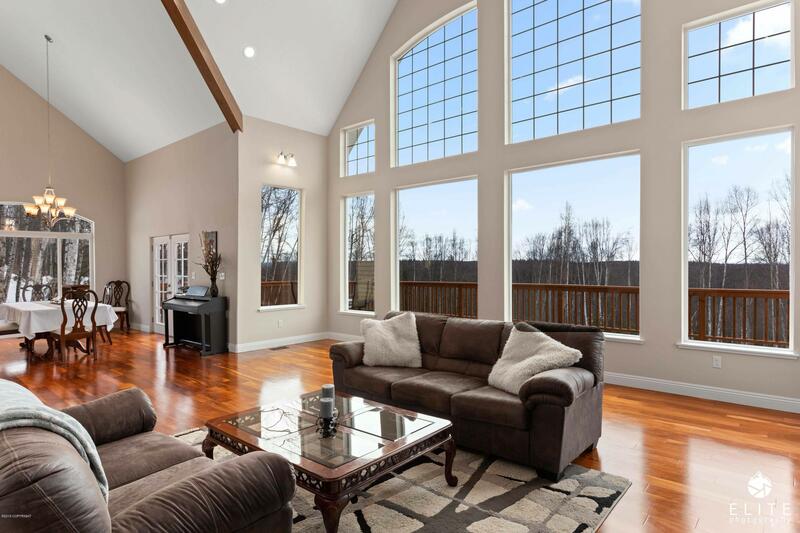 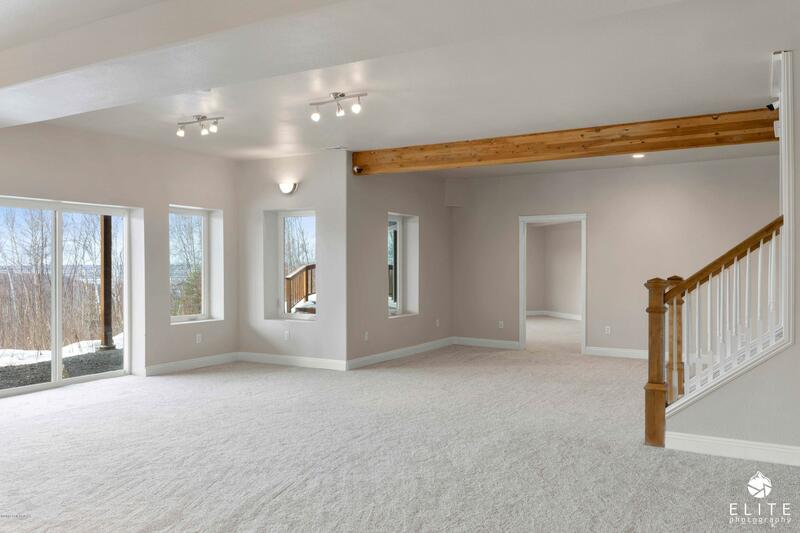 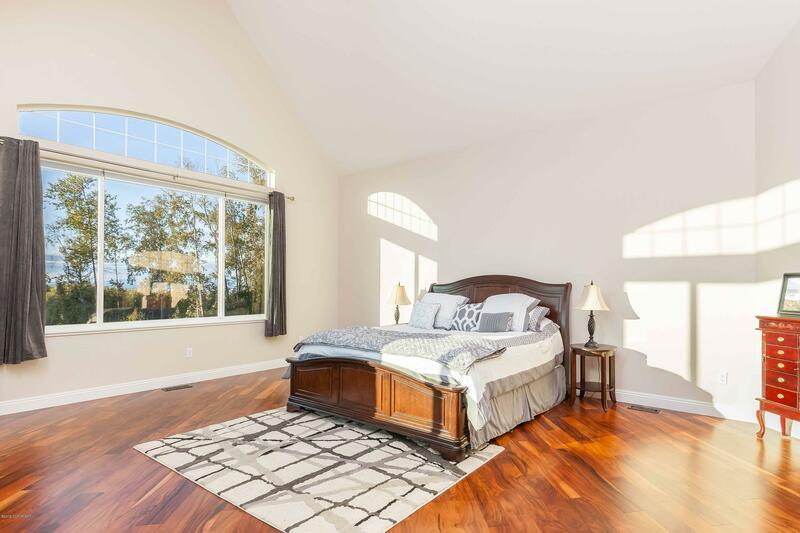 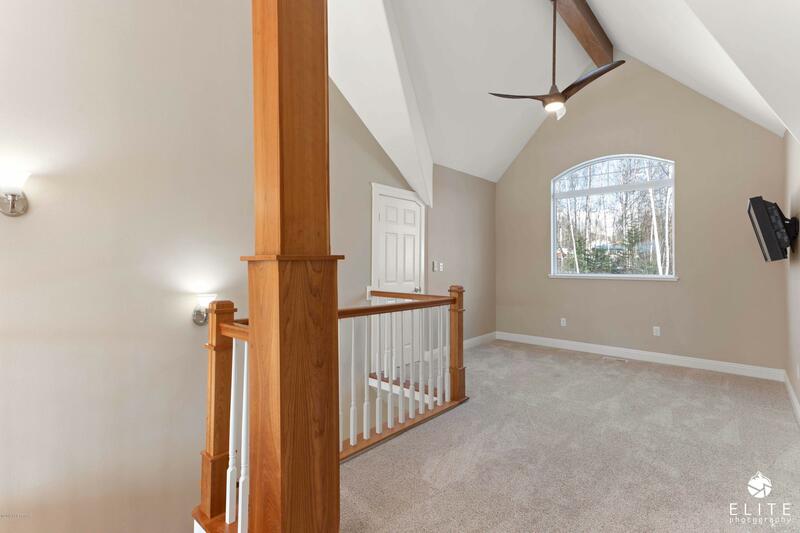 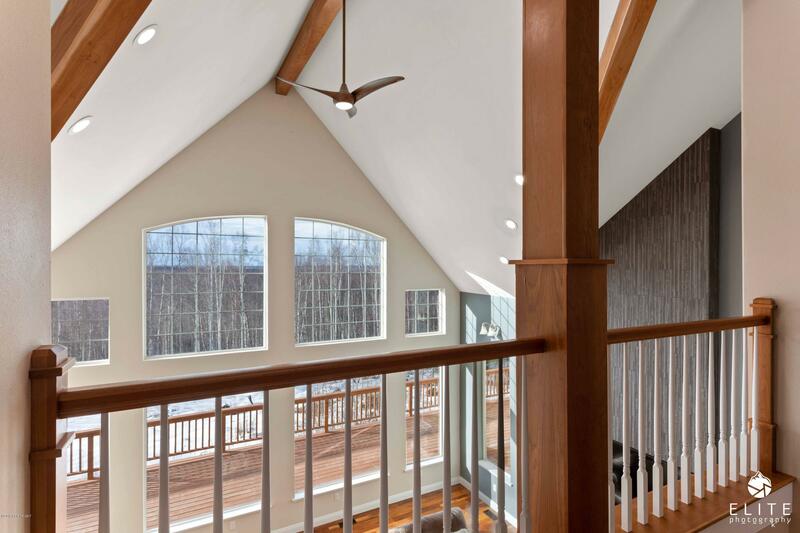 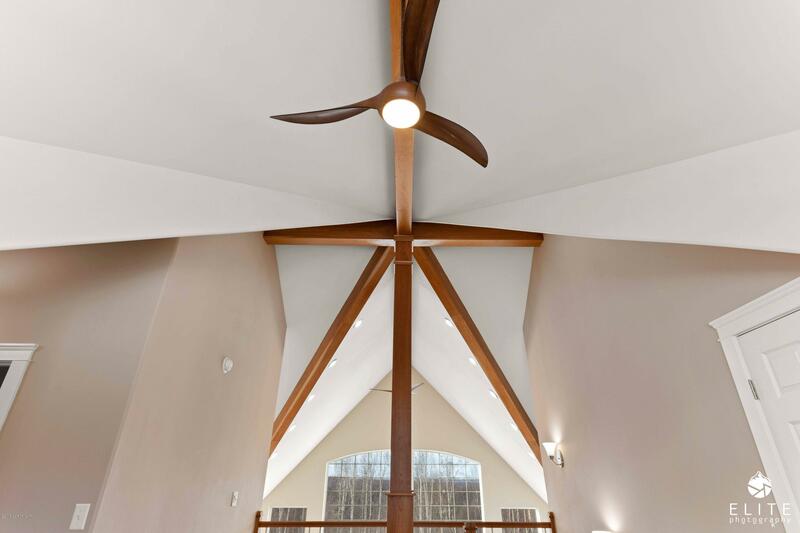 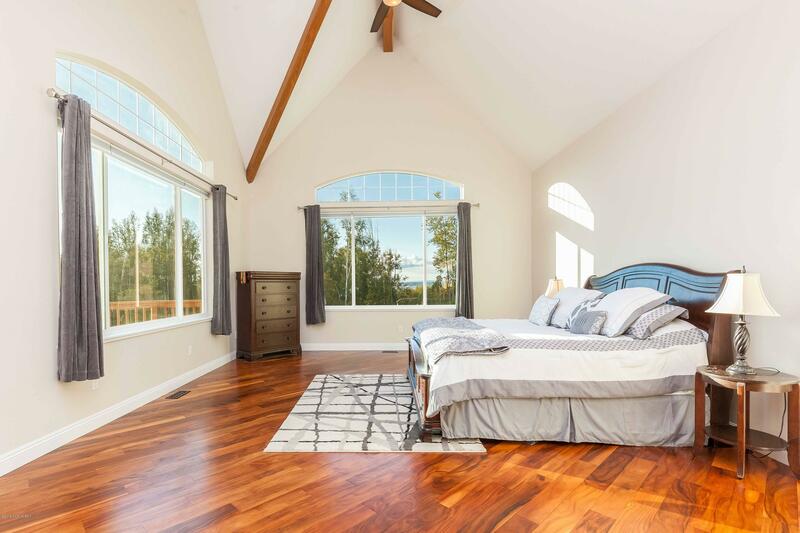 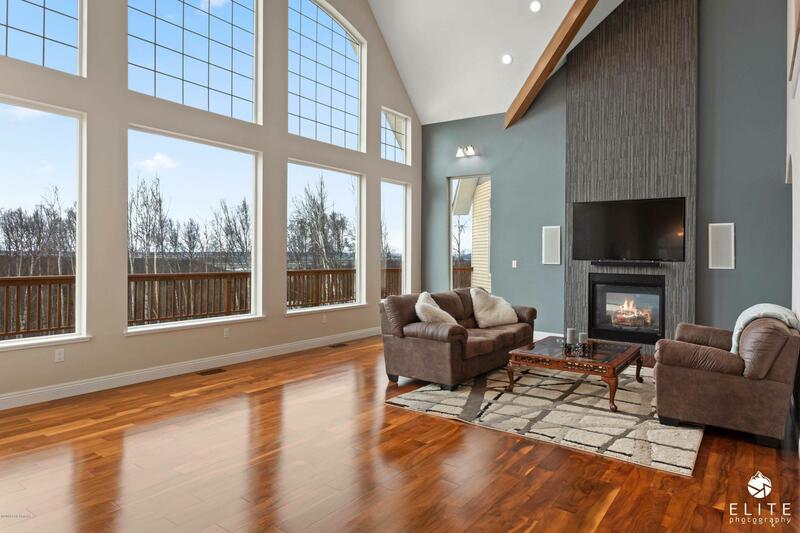 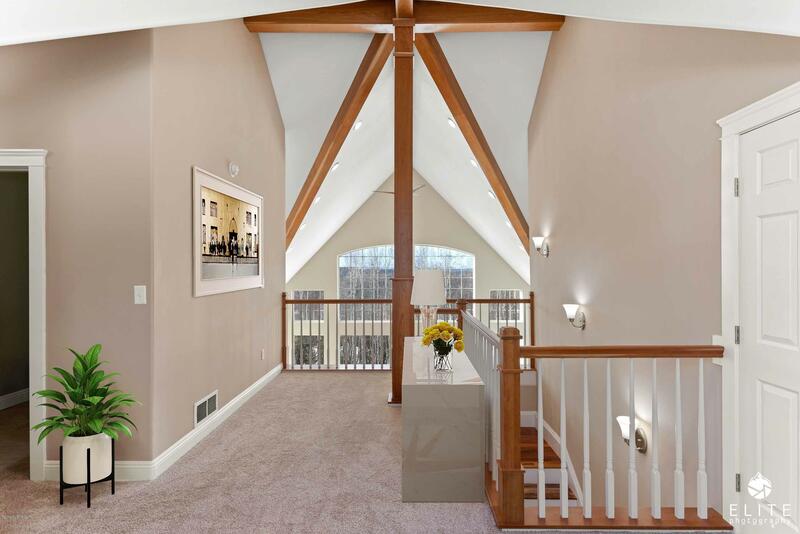 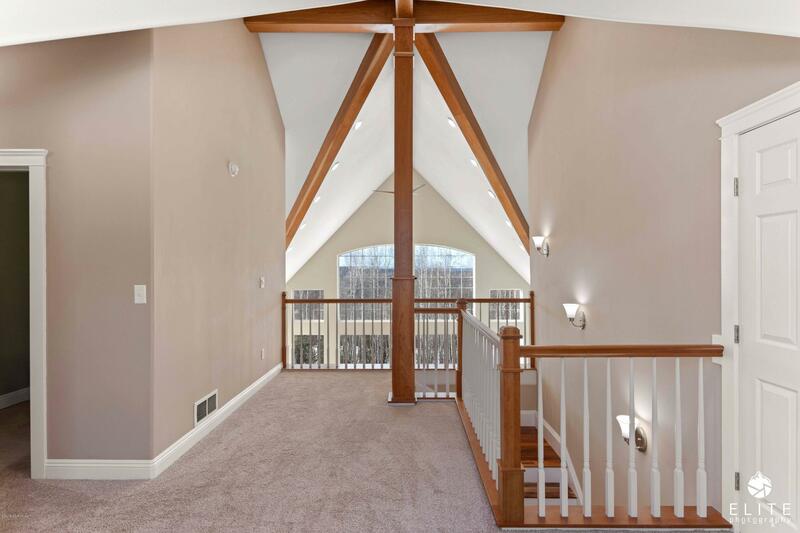 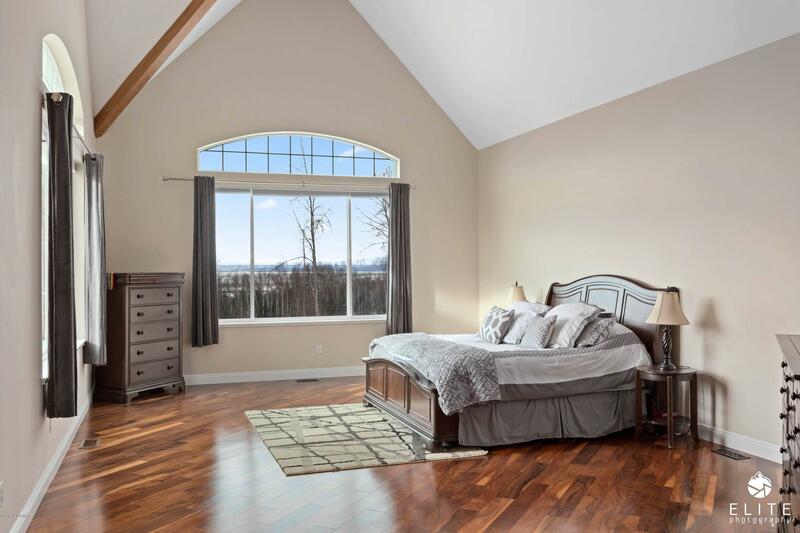 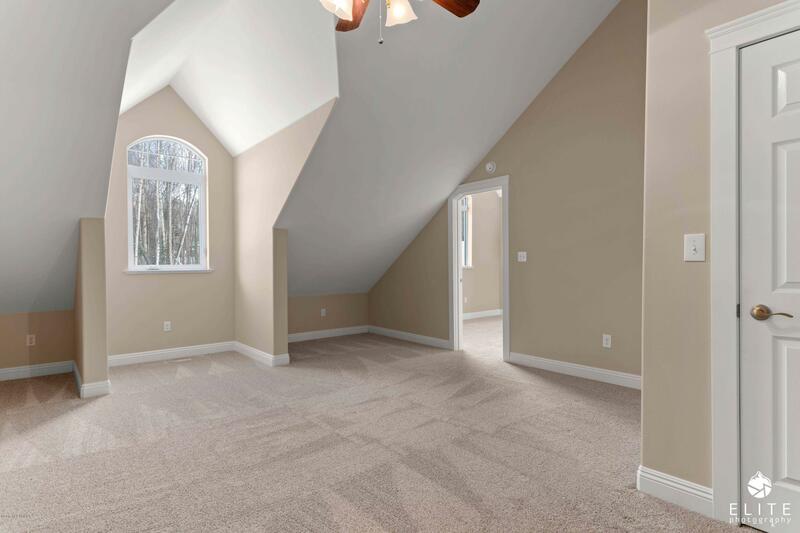 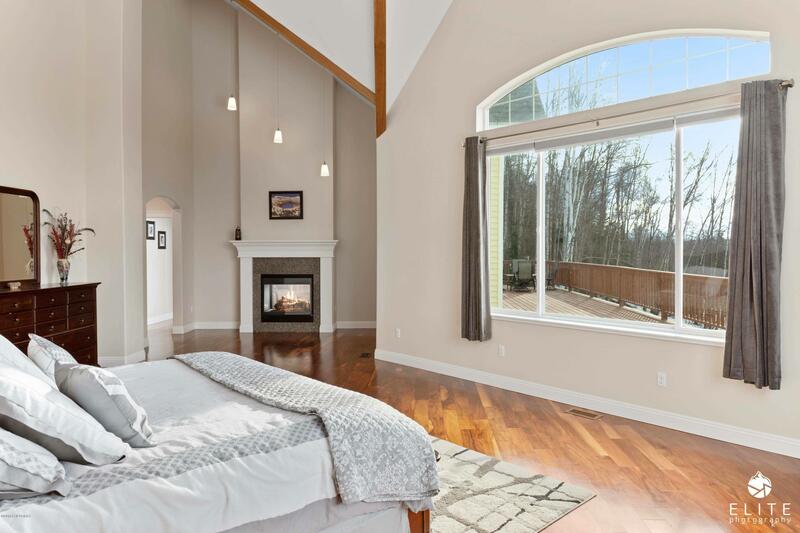 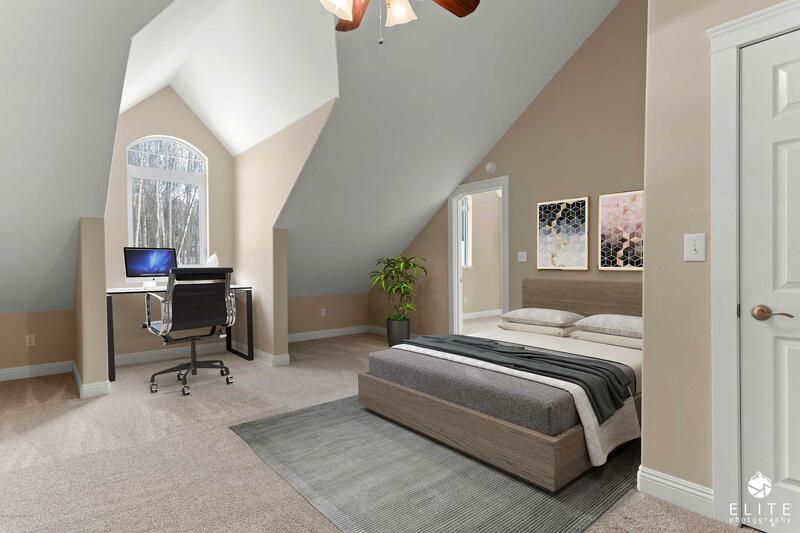 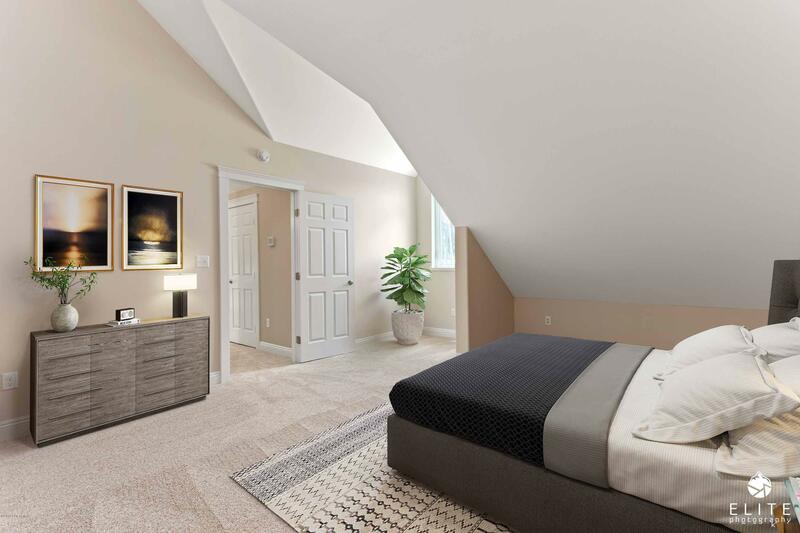 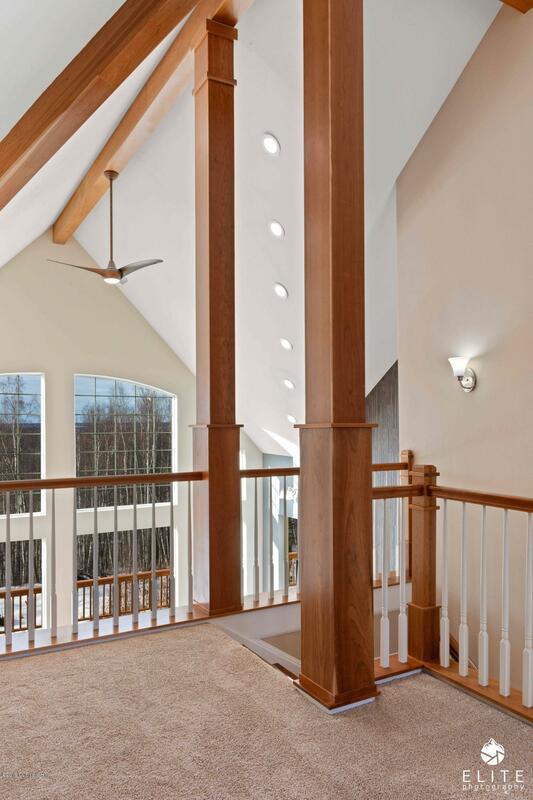 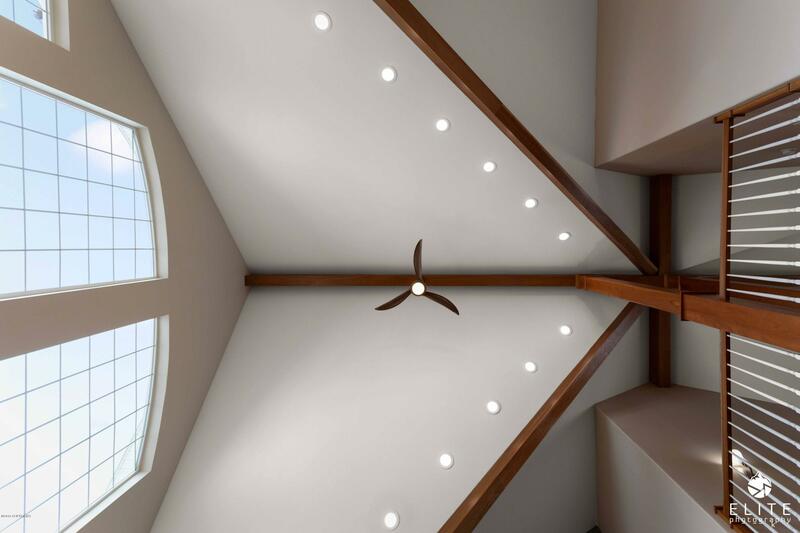 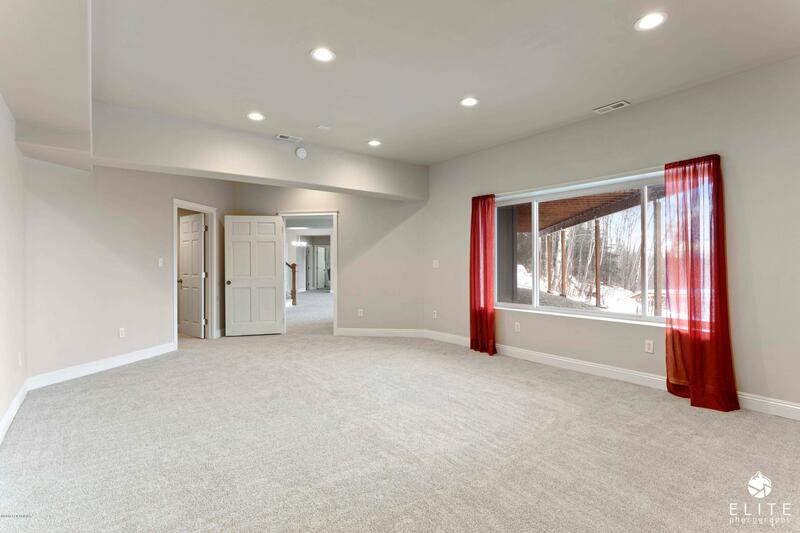 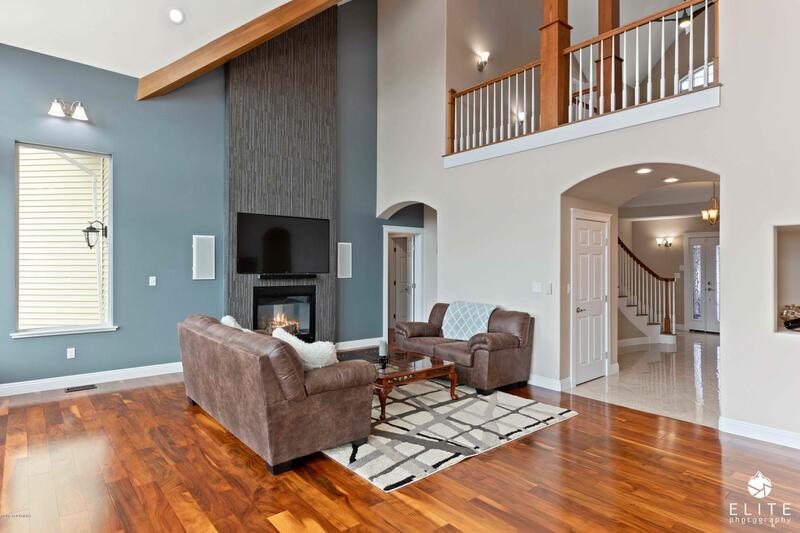 The luxurious master bedroom features Cathedral ceilings, fireplace, panoramic arched windows, walk-in closet, and private access to the back deck. 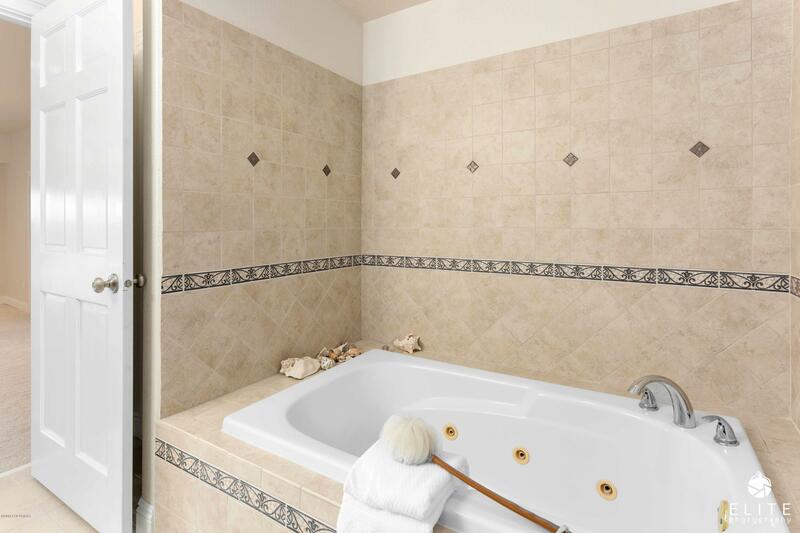 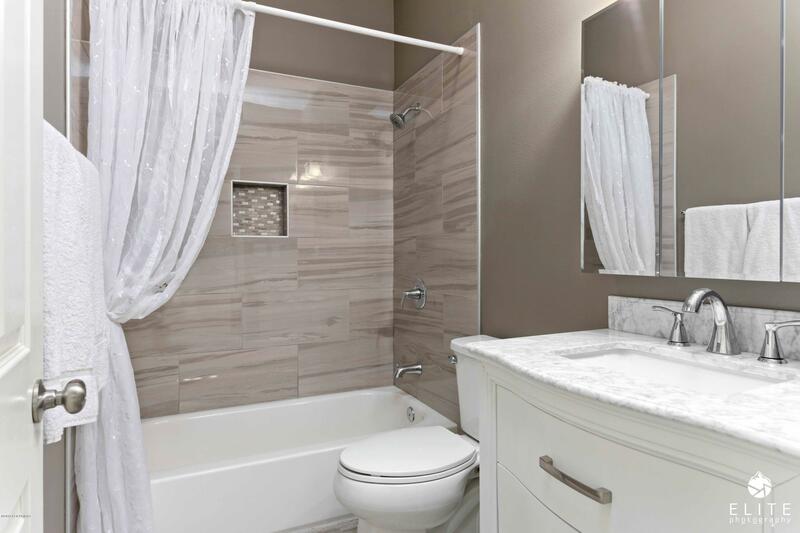 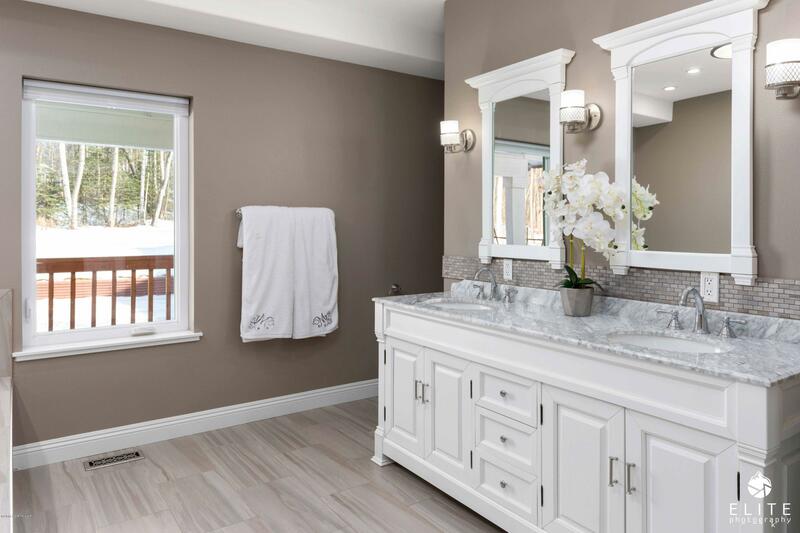 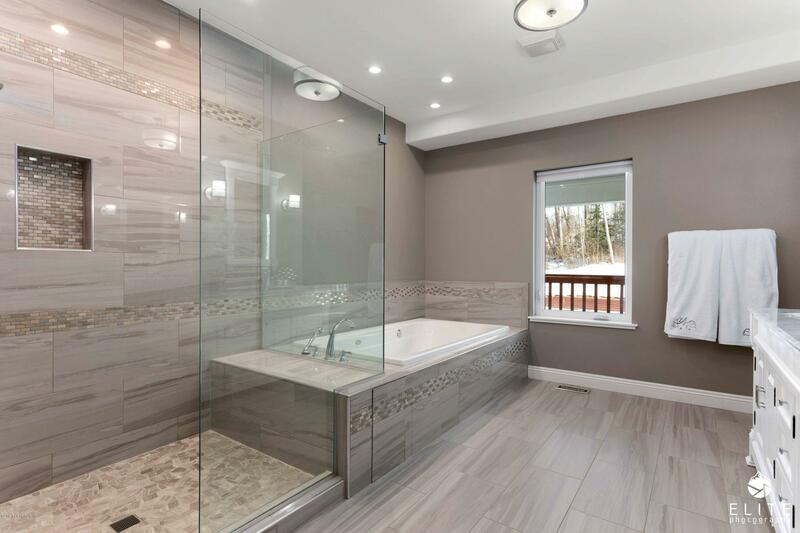 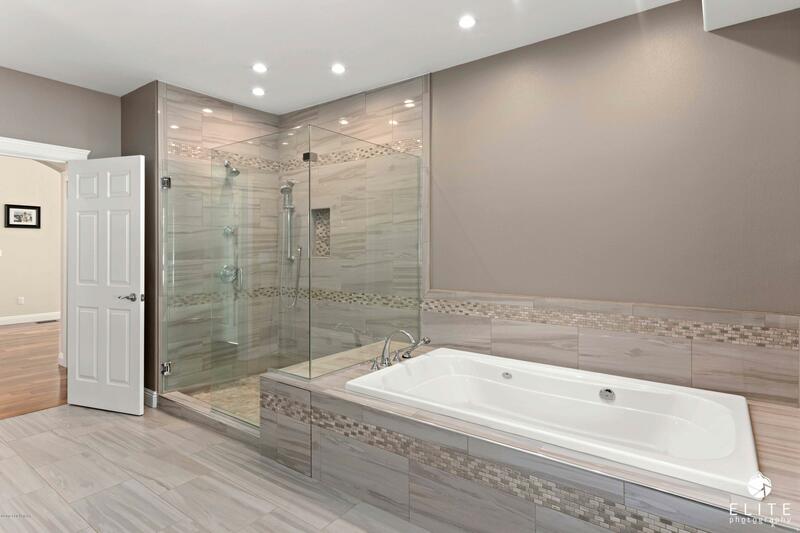 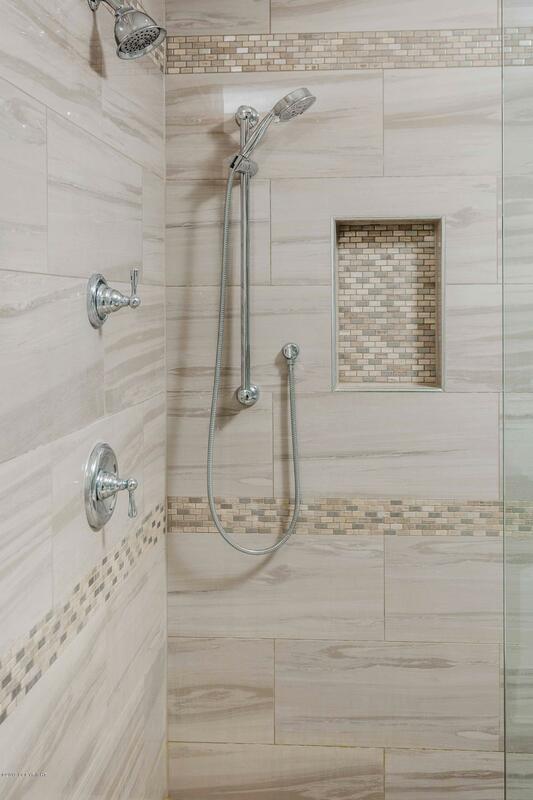 The master bath compliments with a frameless shower, equipped with double shower heads, oversized jetted-tub and designer double vanity. 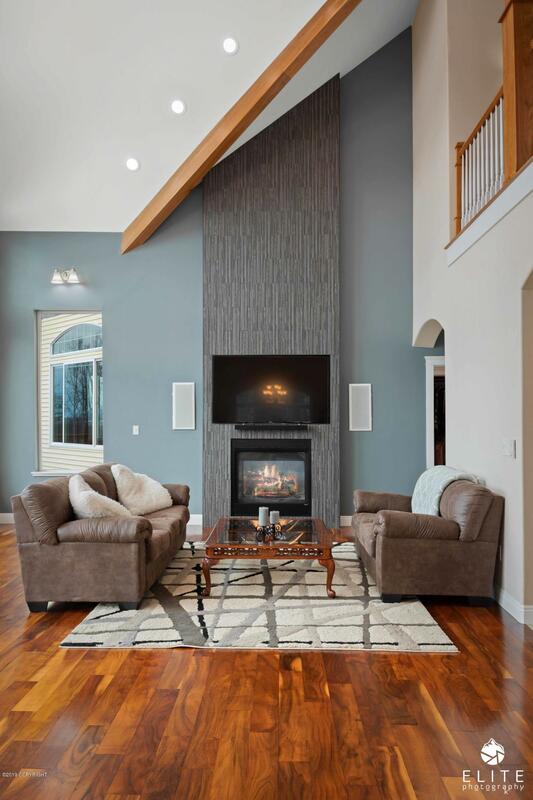 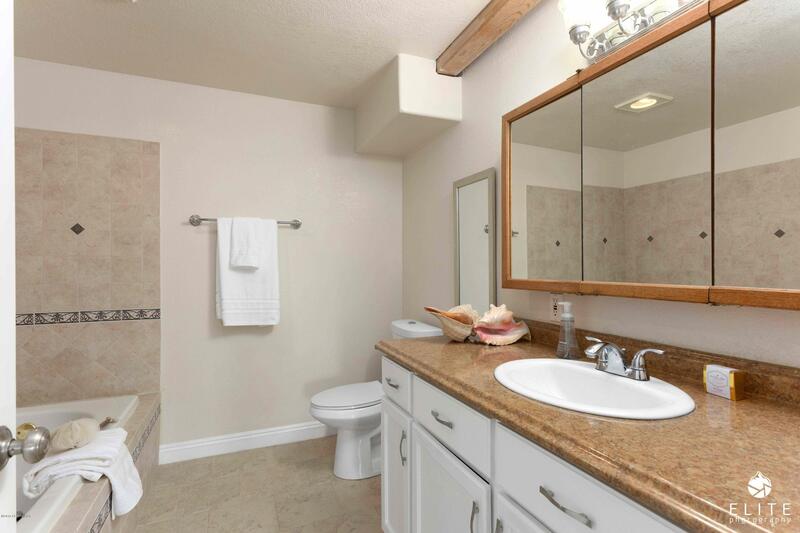 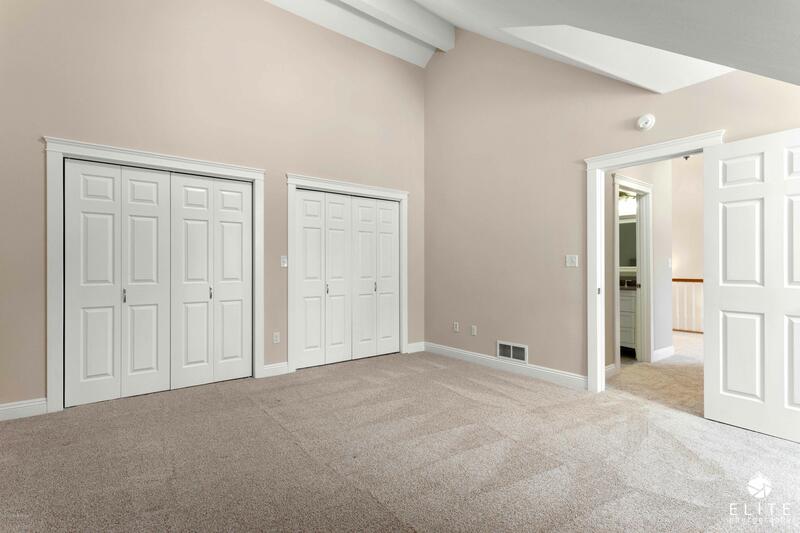 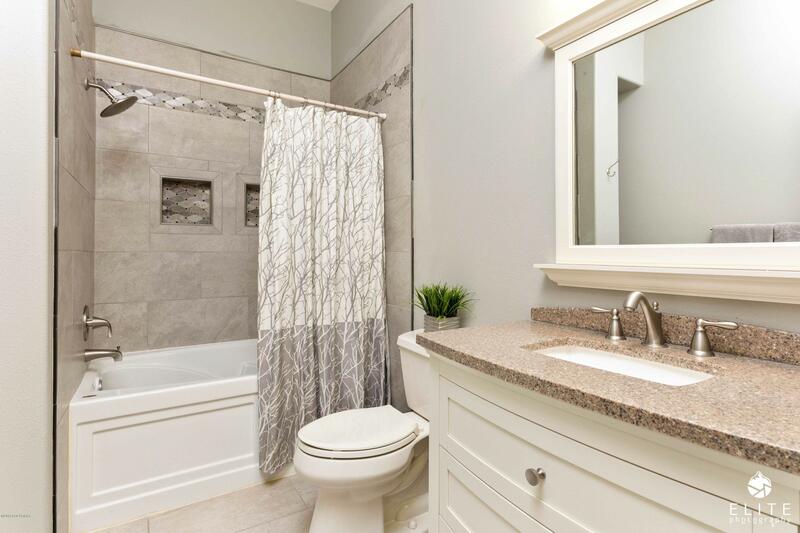 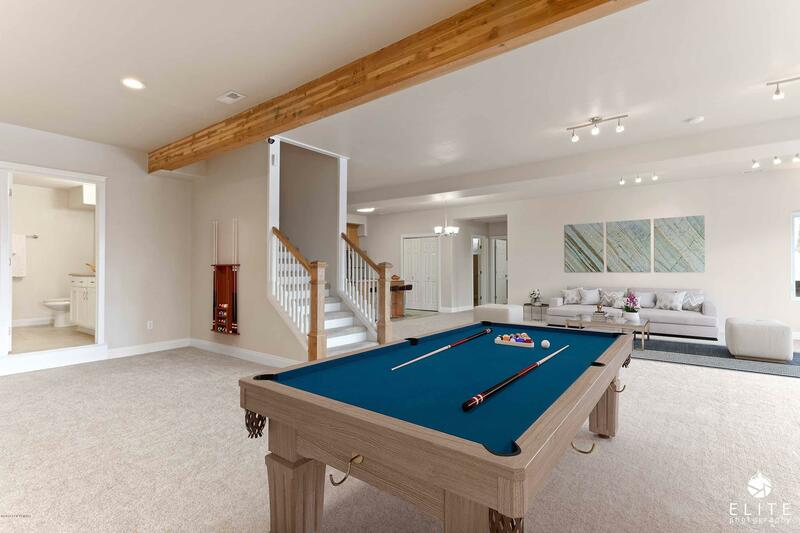 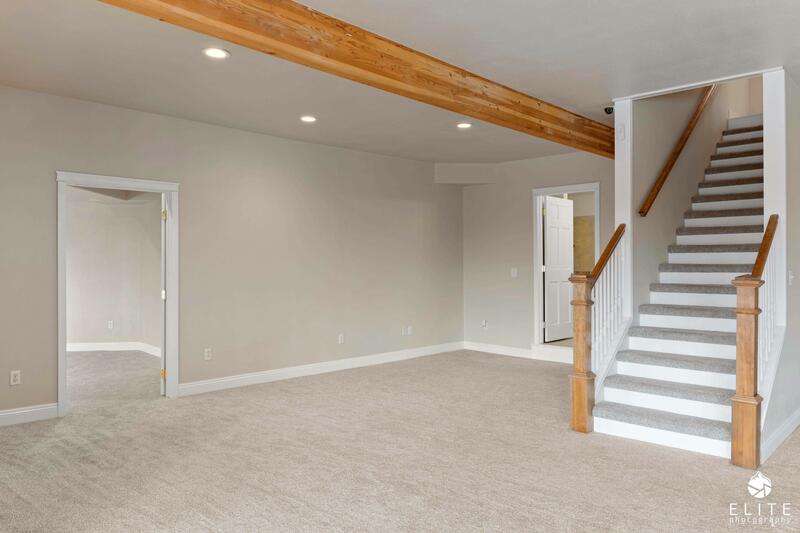 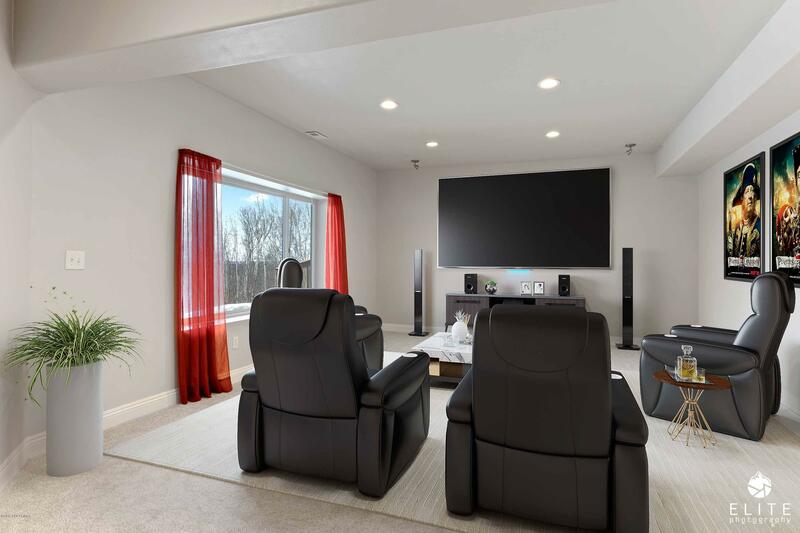 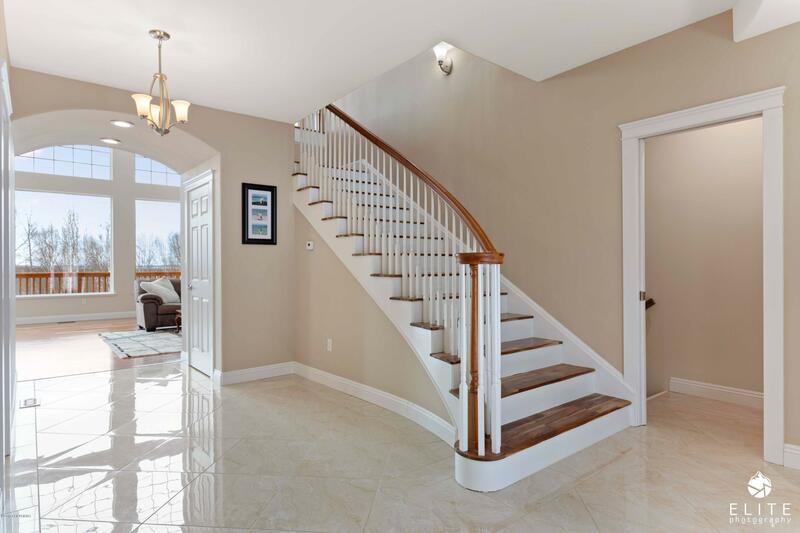 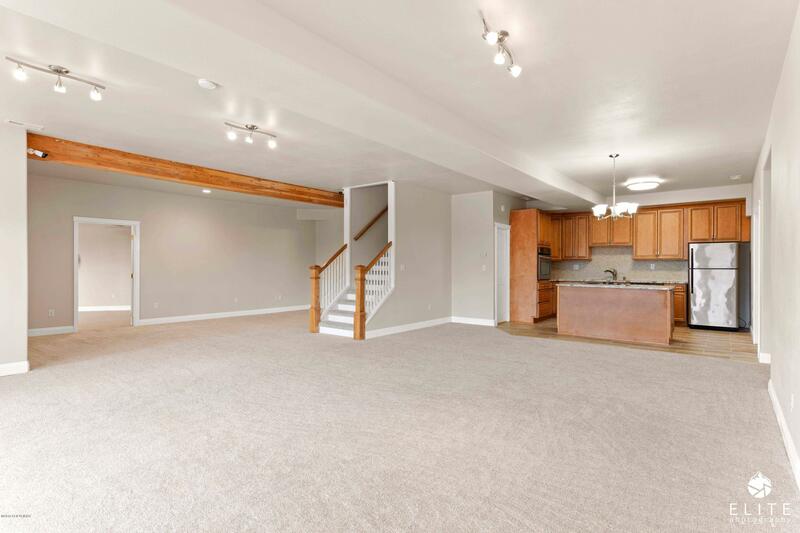 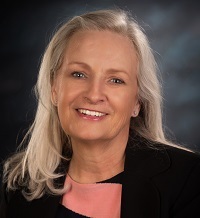 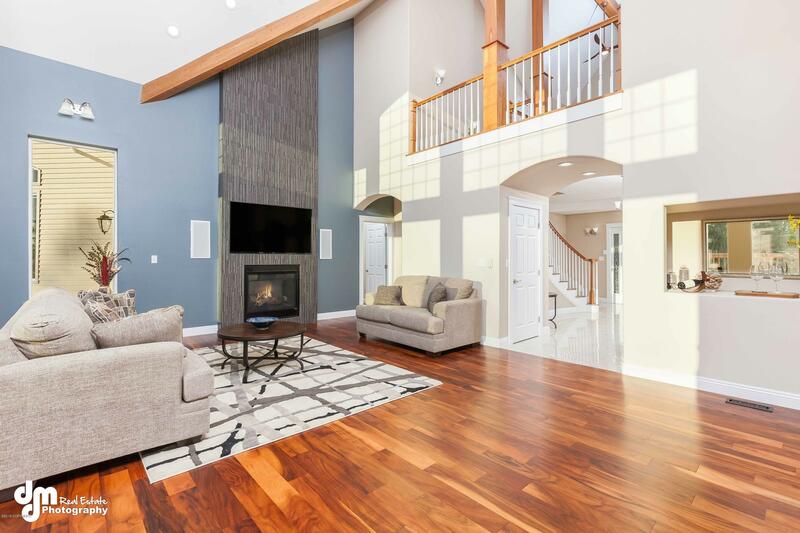 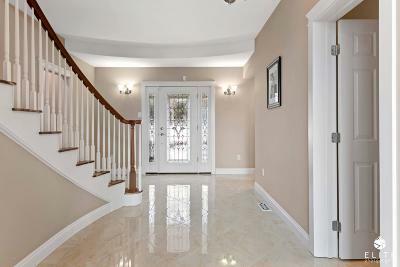 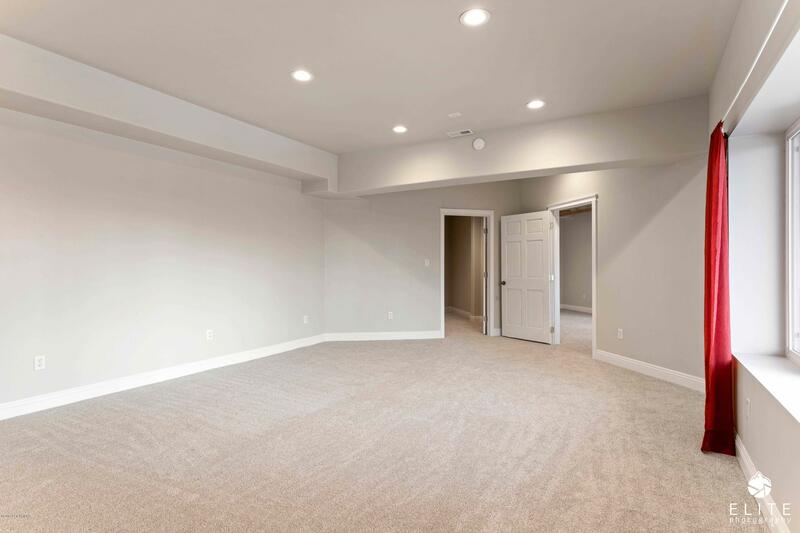 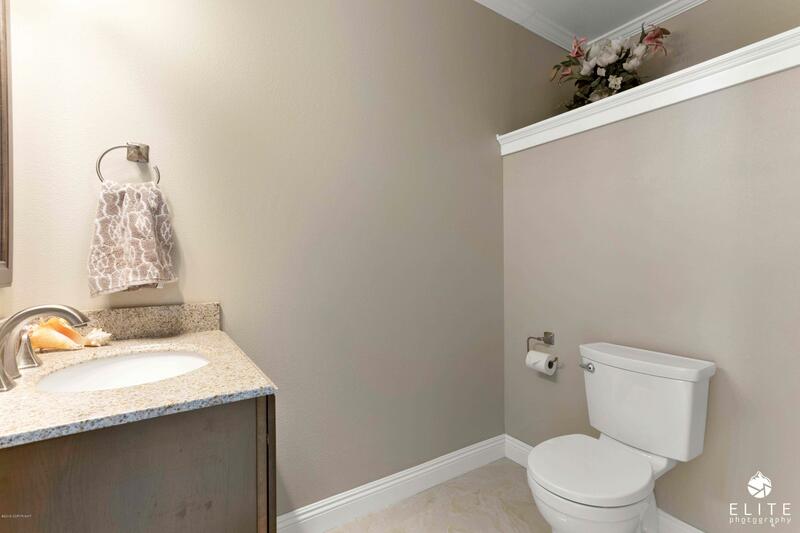 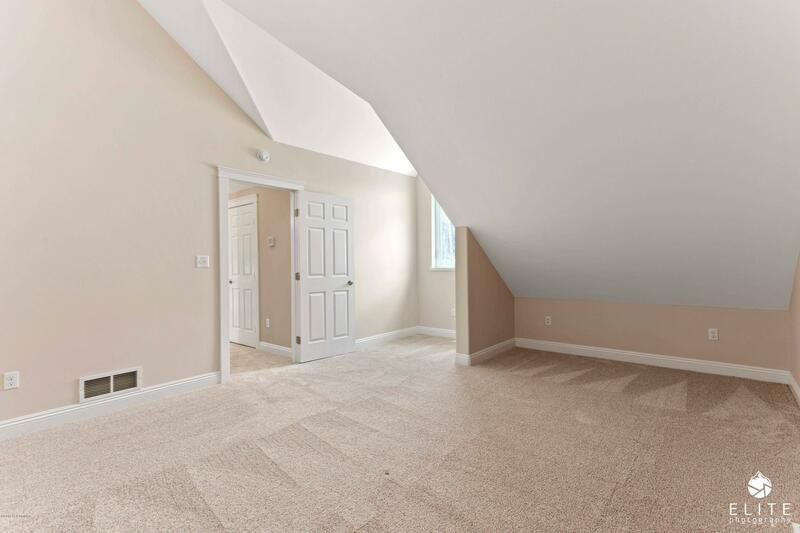 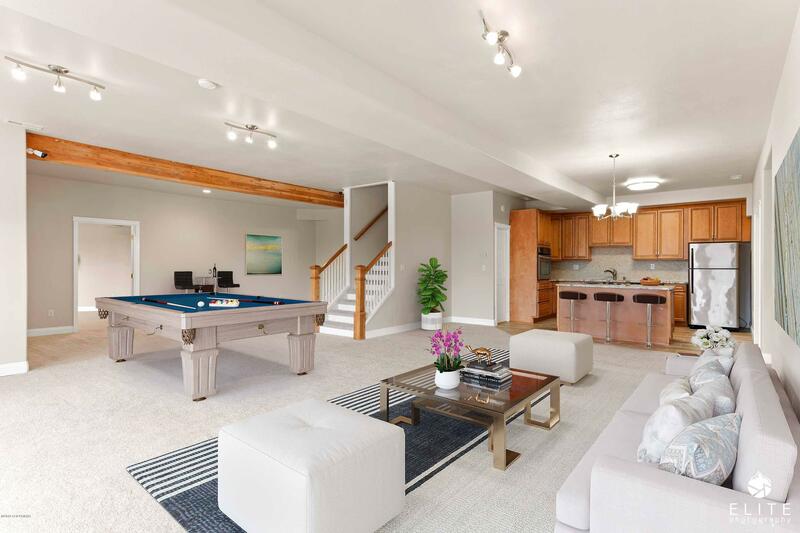 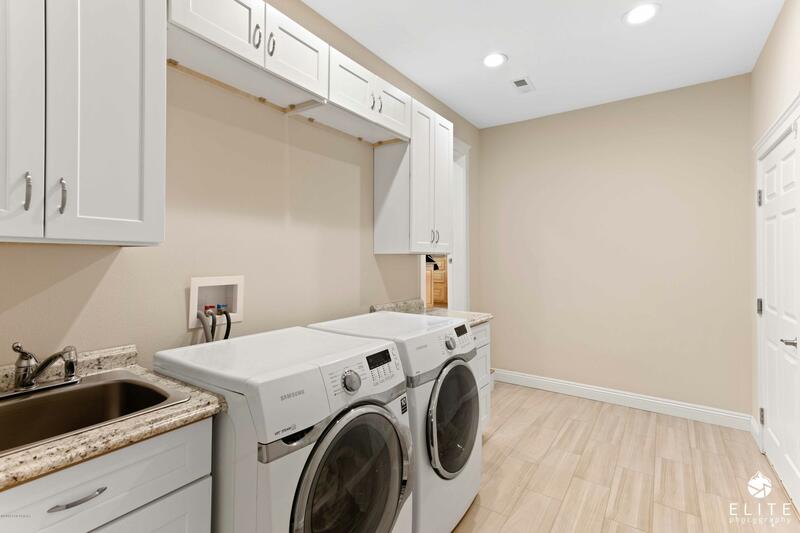 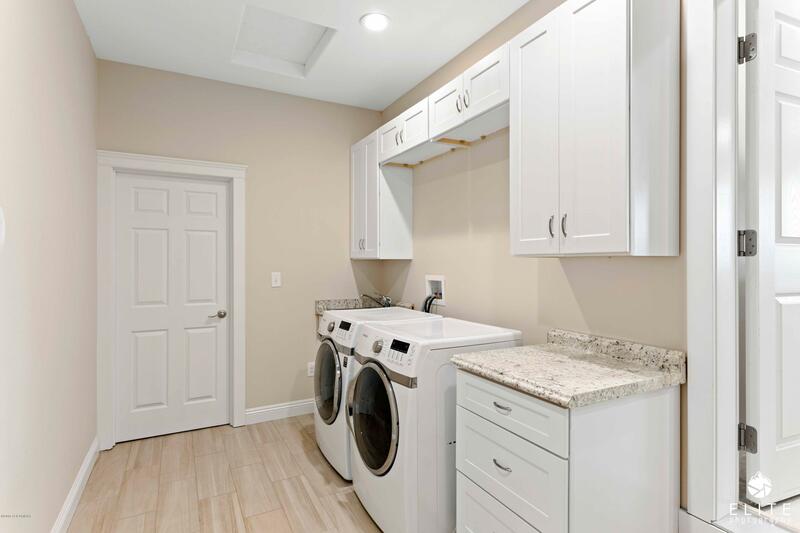 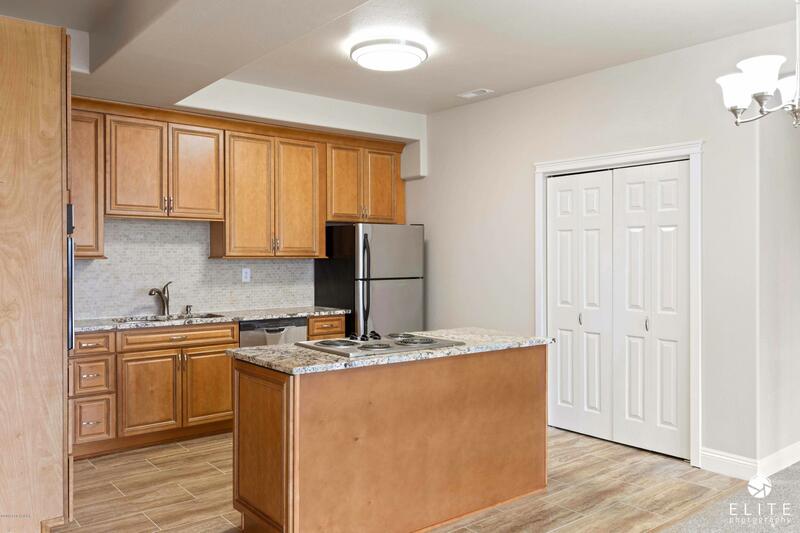 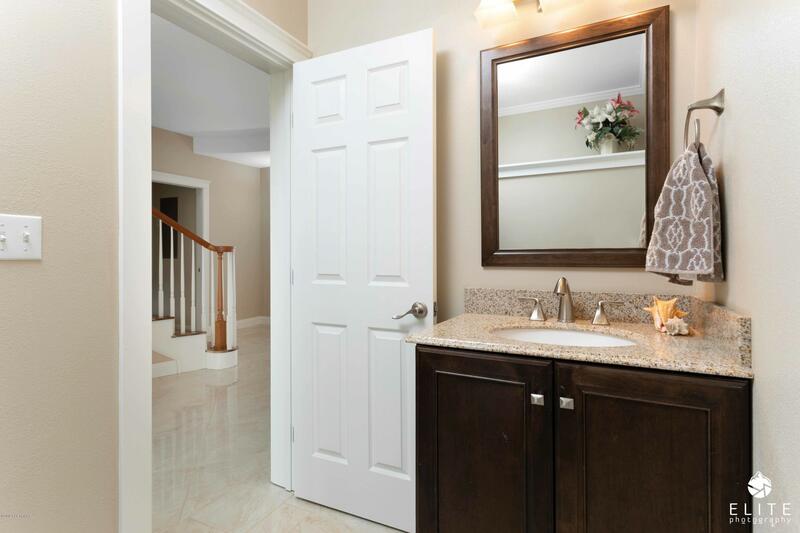 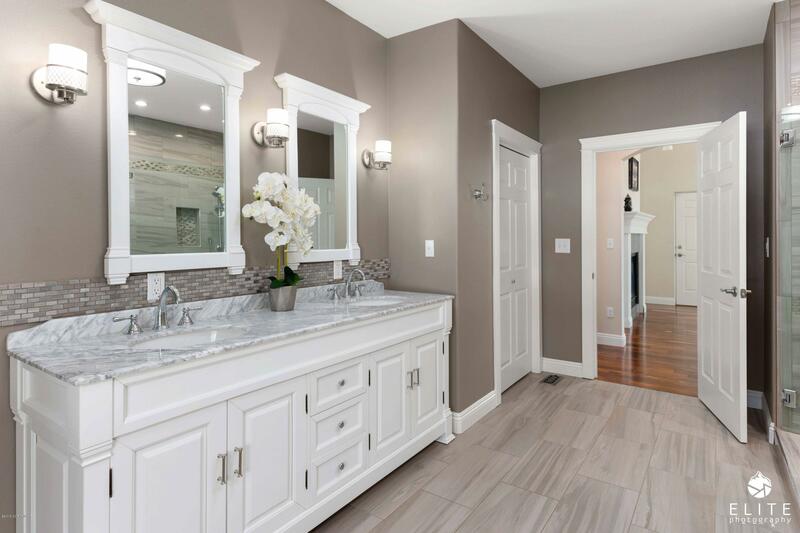 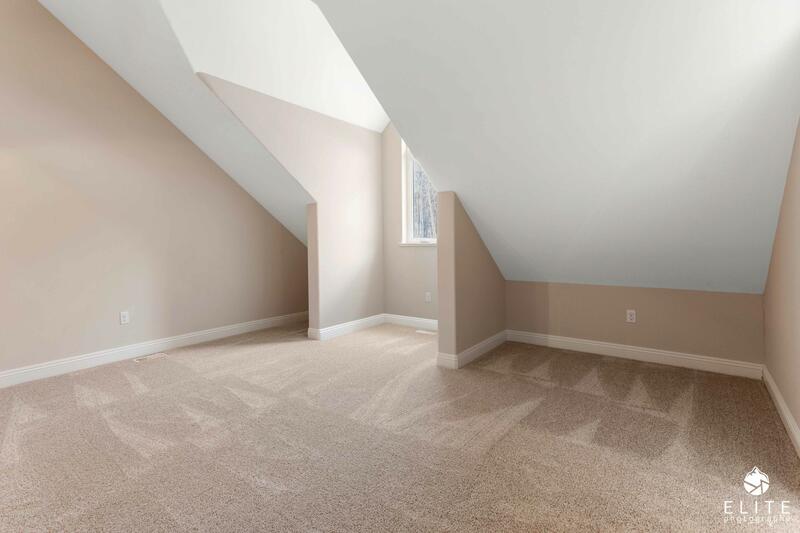 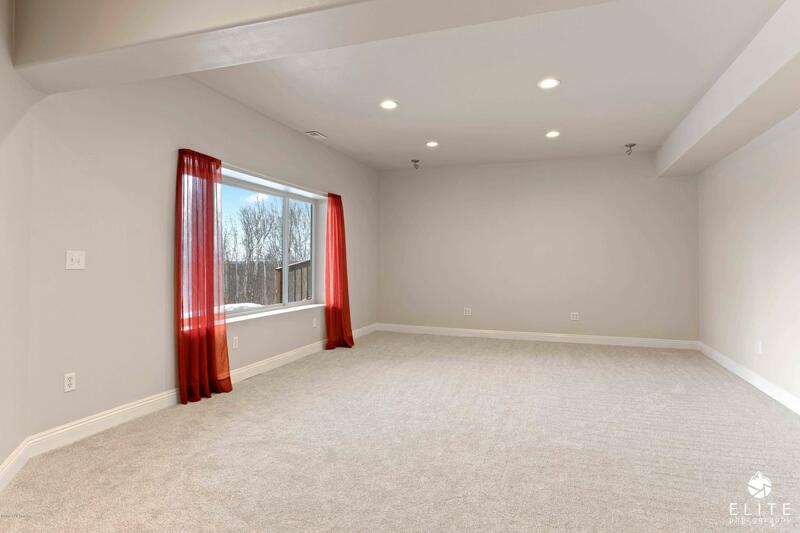 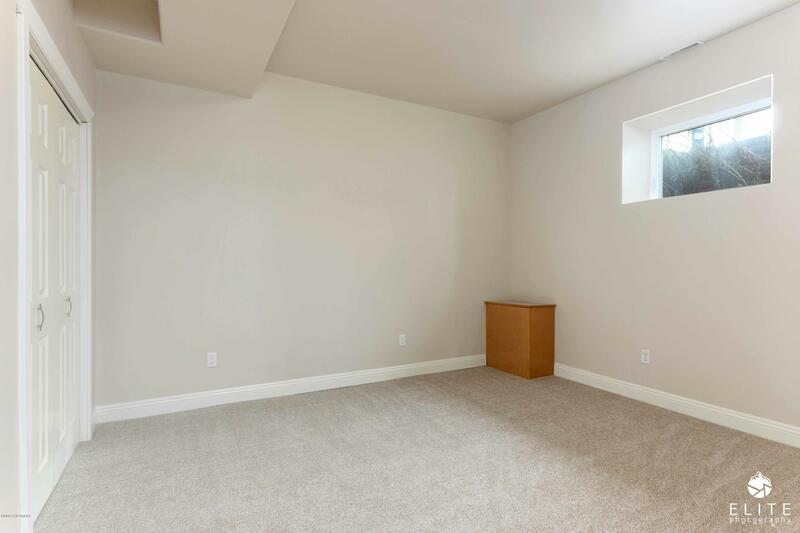 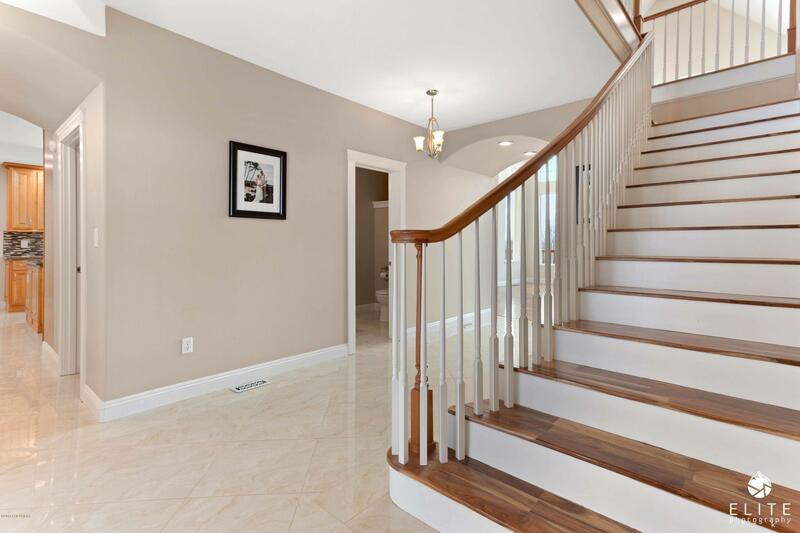 The newly renovated basement floor spans 2400 square feet and can double as a spacious mother-in-law, with a full kitchen and open living area, 2 full baths, bedroom, office and media room. 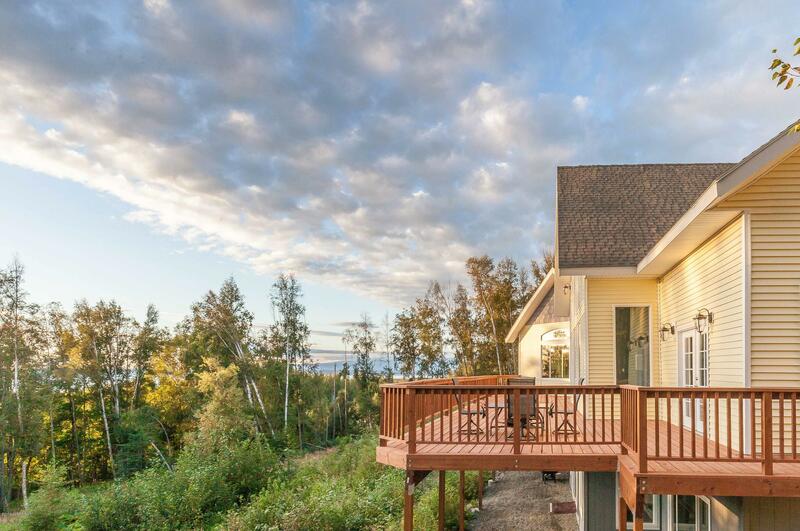 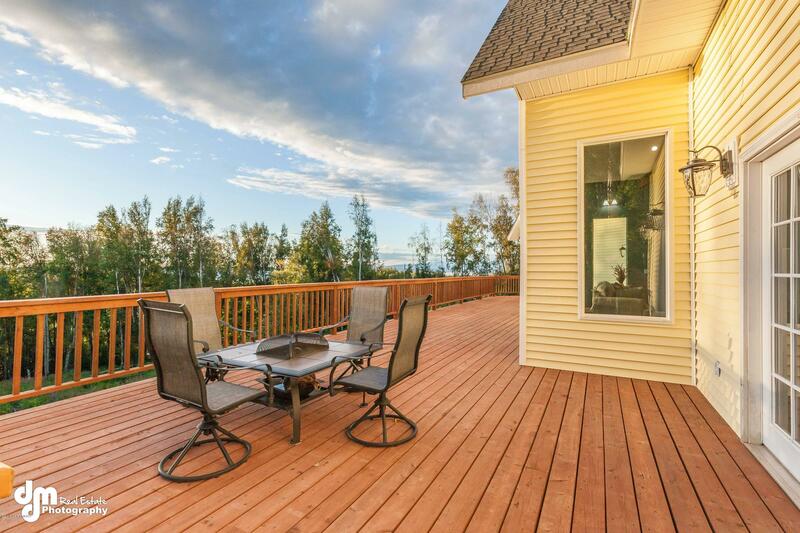 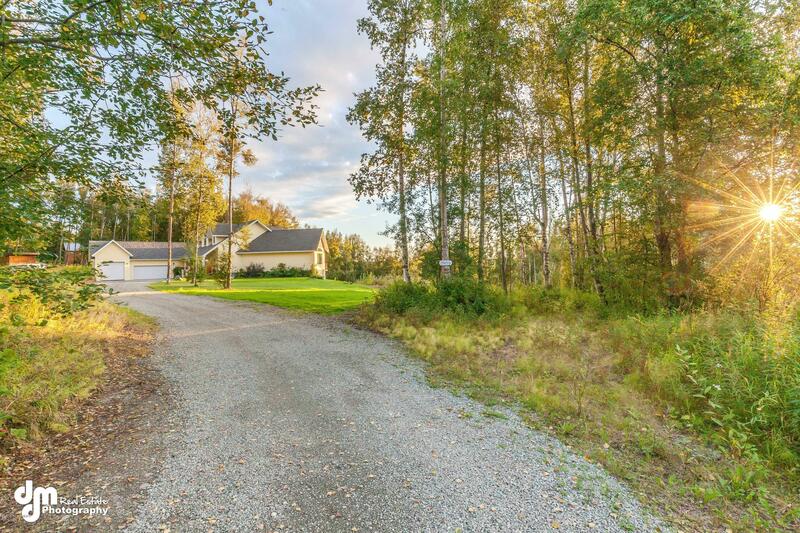 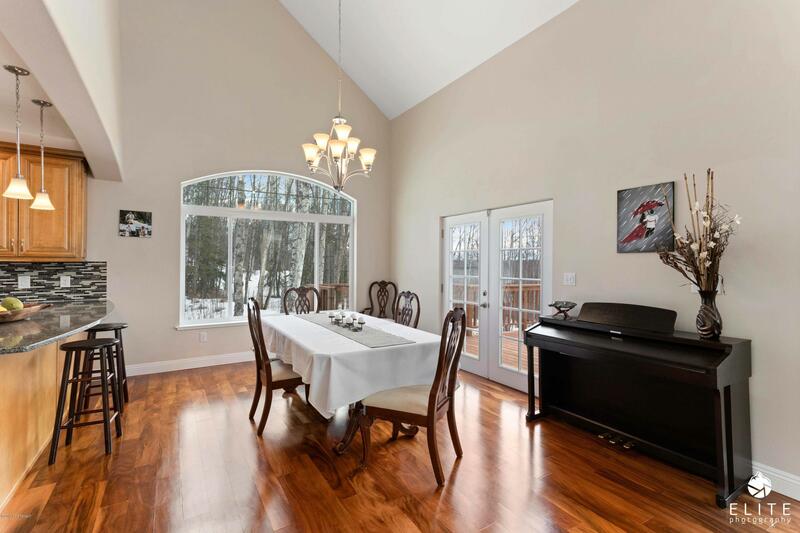 Located only 5 minutes from Eagle River and 25 minutes to downtown Anchorage!